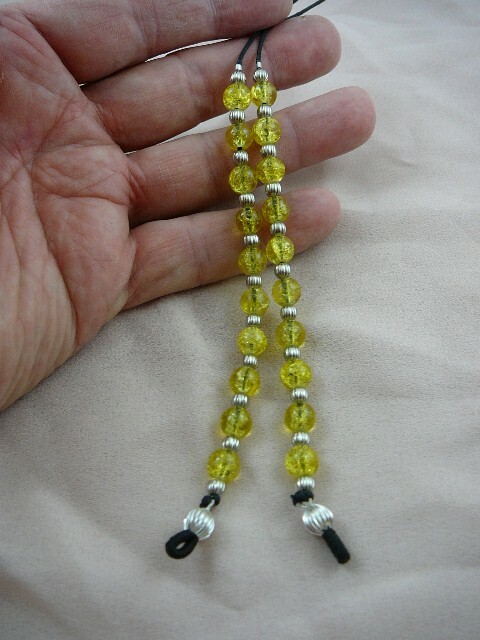 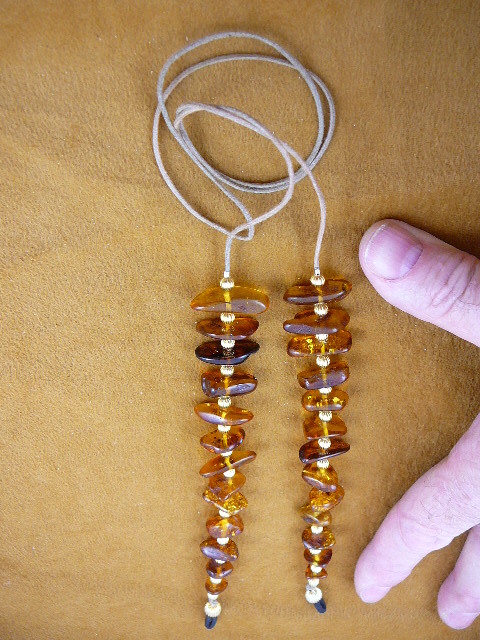 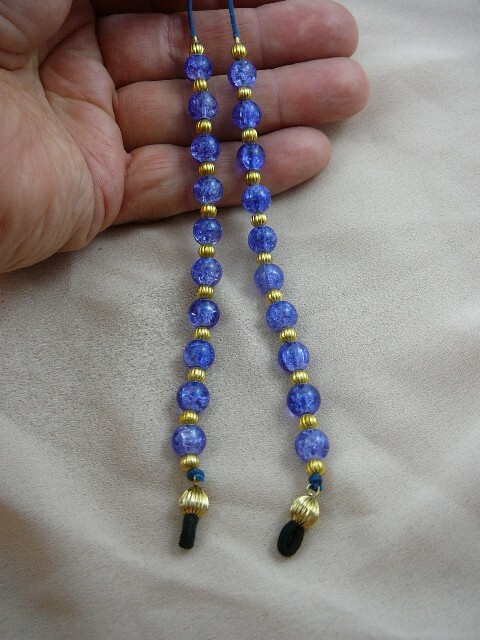 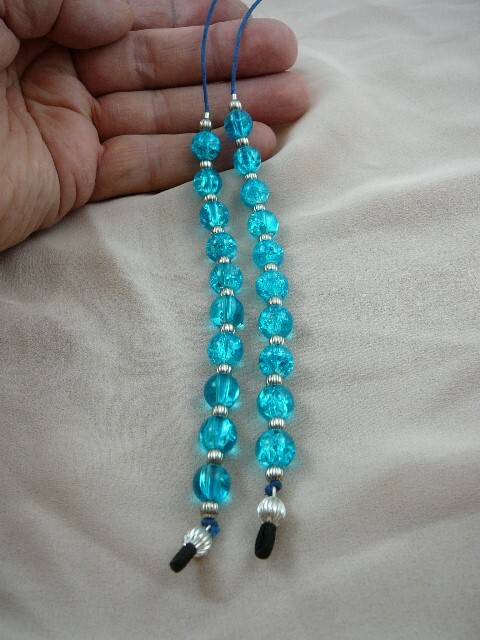 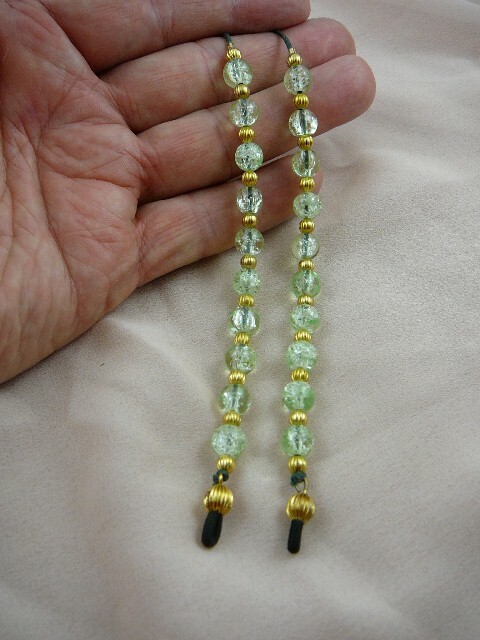 These are designed by Glenn, and serve two purposes - they keep you from losing your glasses, and they look like earrings when you've got your glasses on! 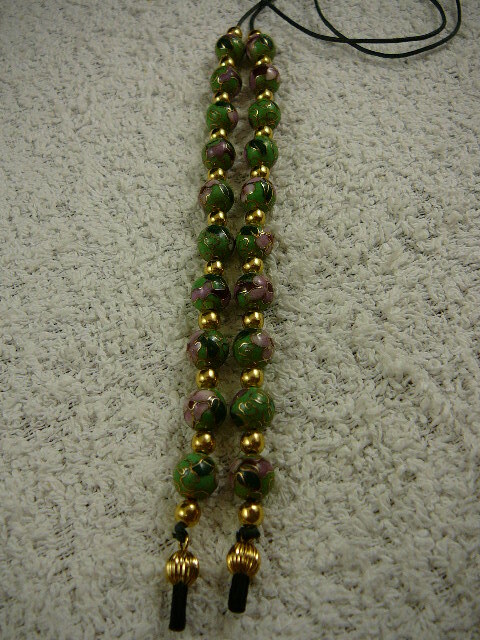 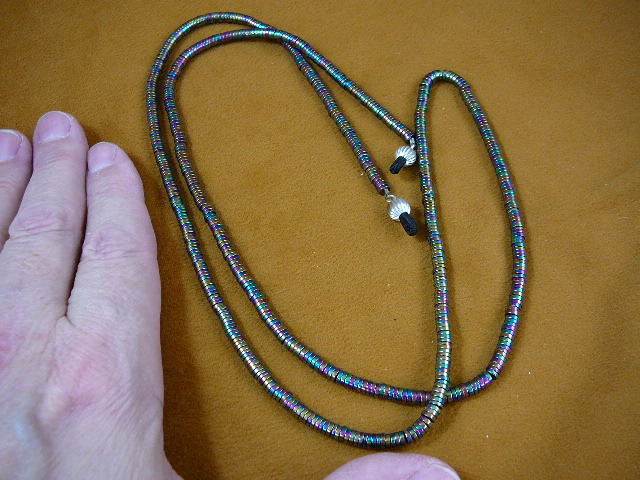 Loops slip on eyeglass arms, cording behind your neck. 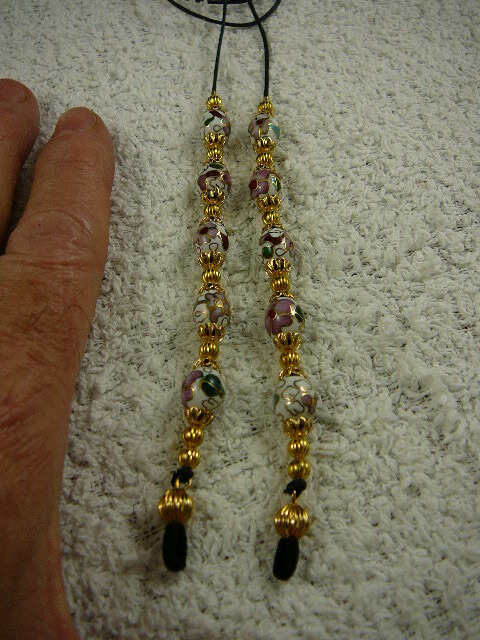 Keep your glasses on, or rest them on your chest - you've got them on a leash! 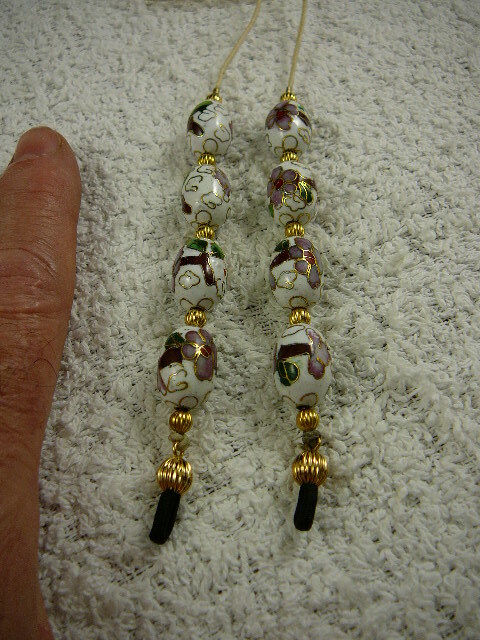 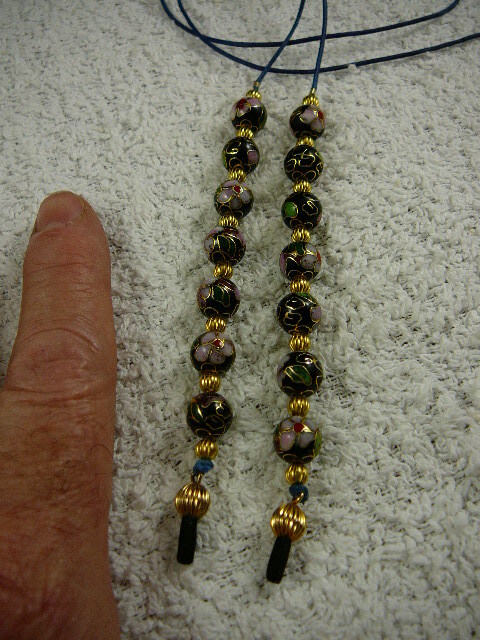 All about 27 1/2" long. 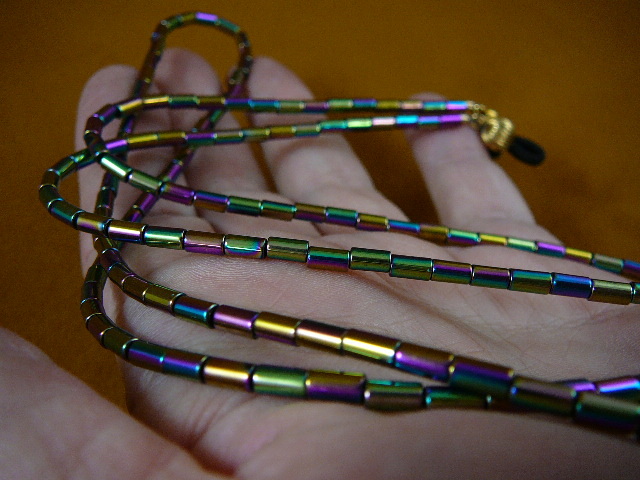 The pink and fuchsia crackle glass glow under black light! 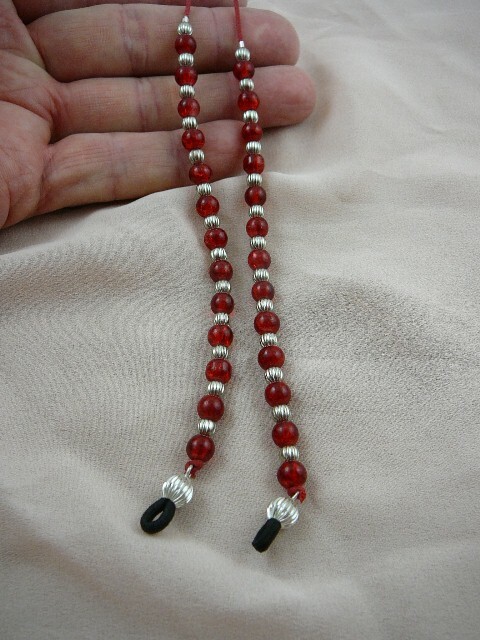 Cinnabar the actual mineral is toxic. 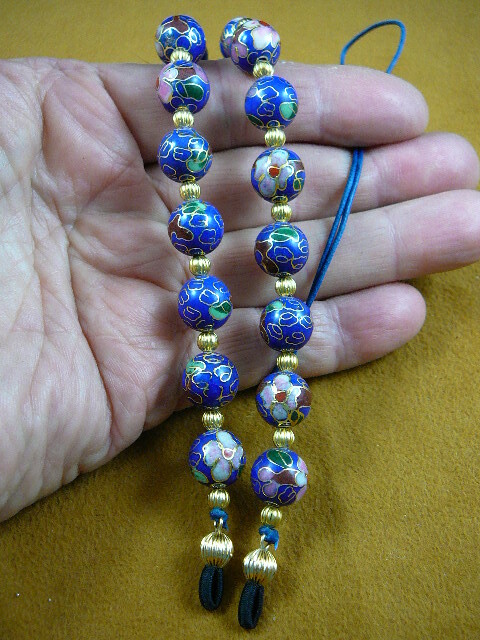 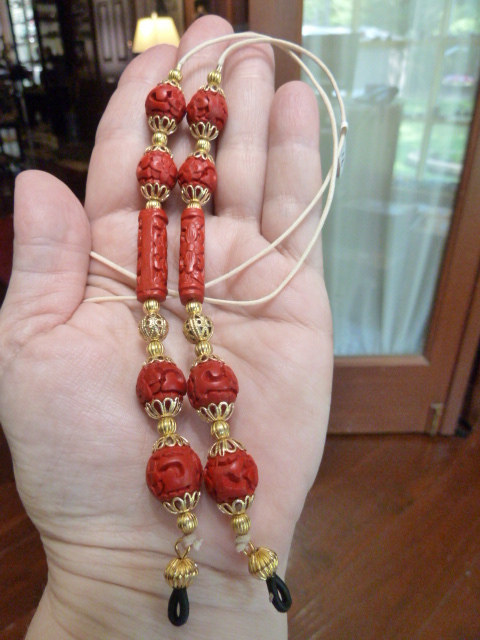 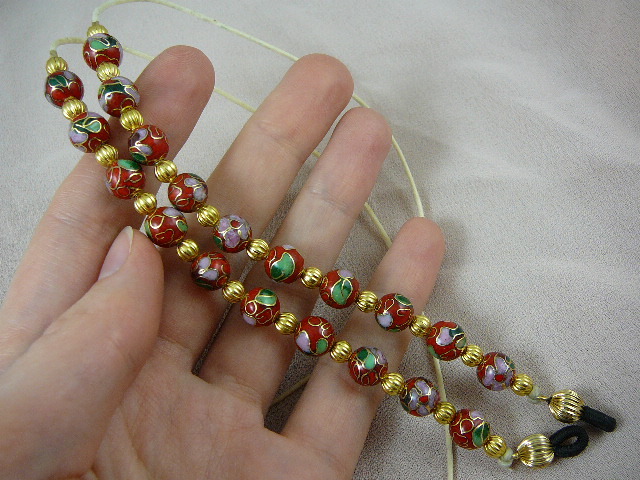 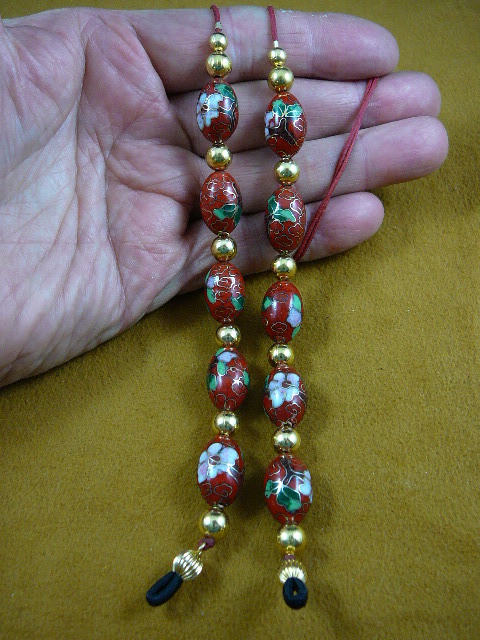 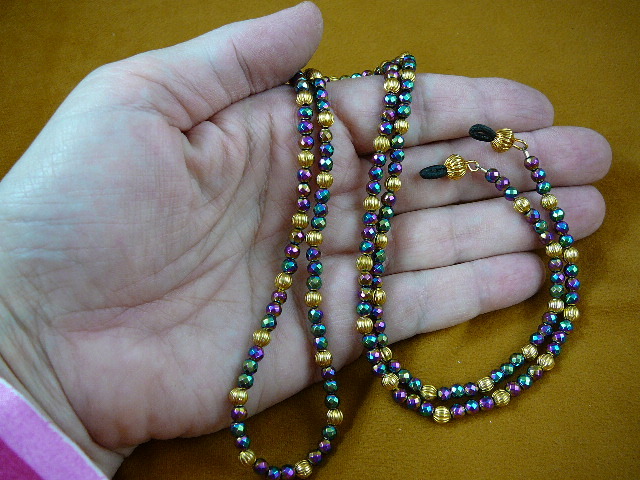 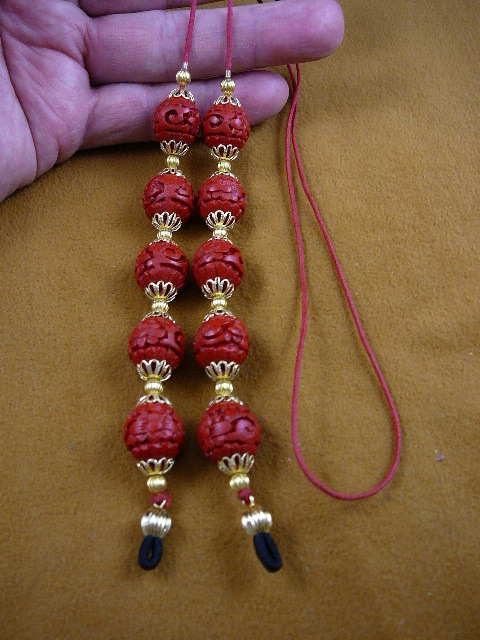 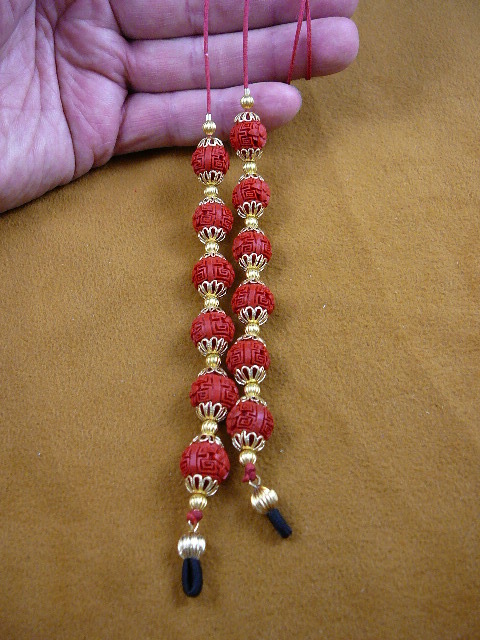 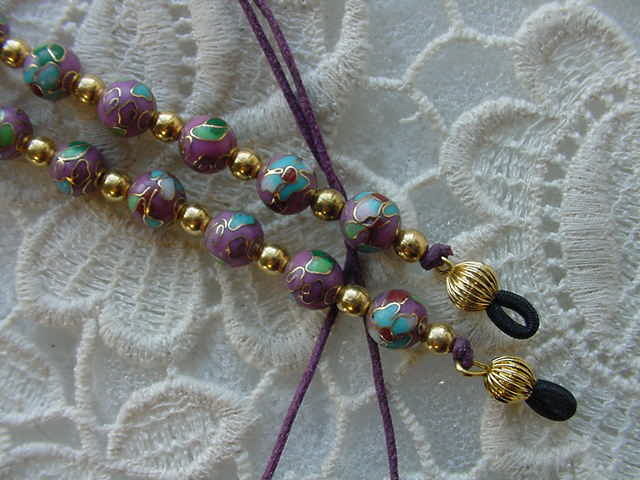 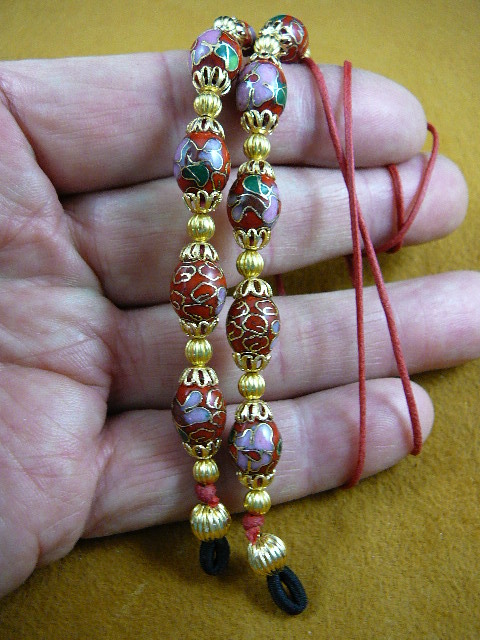 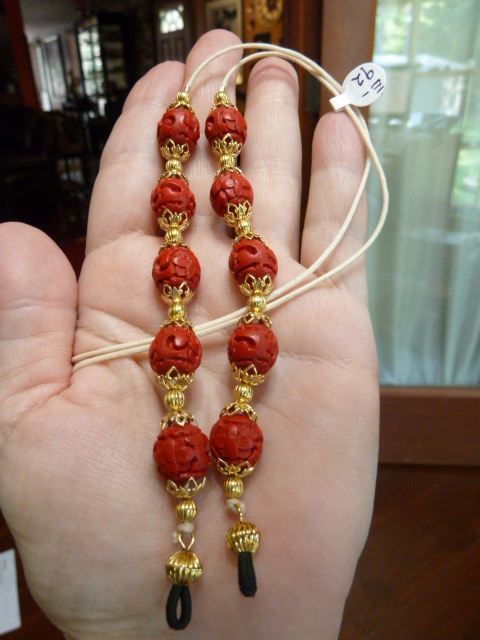 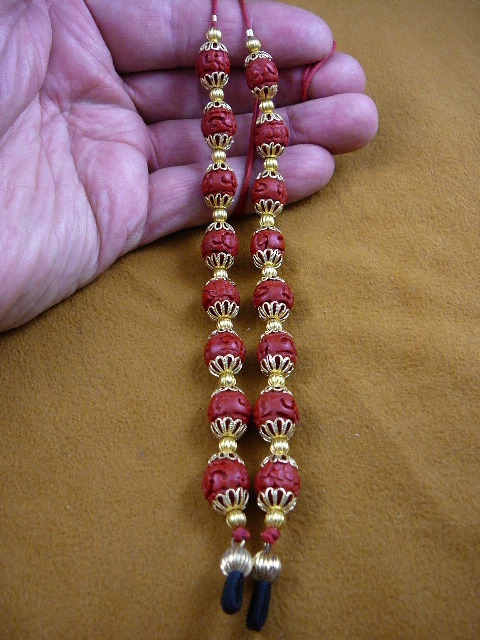 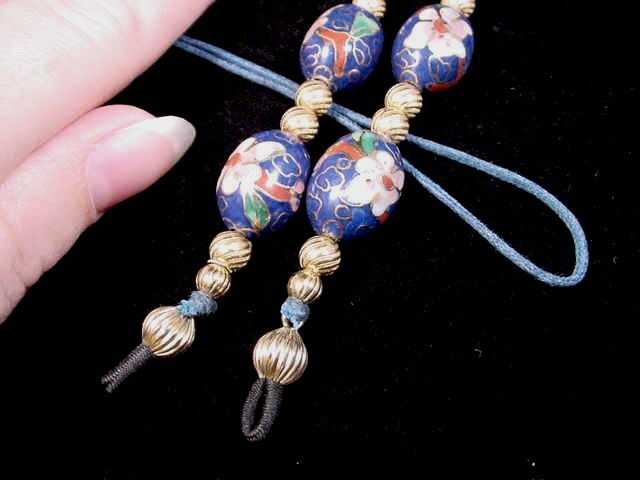 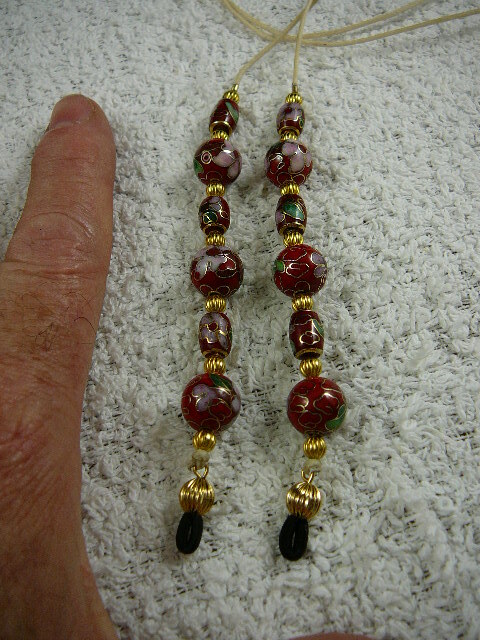 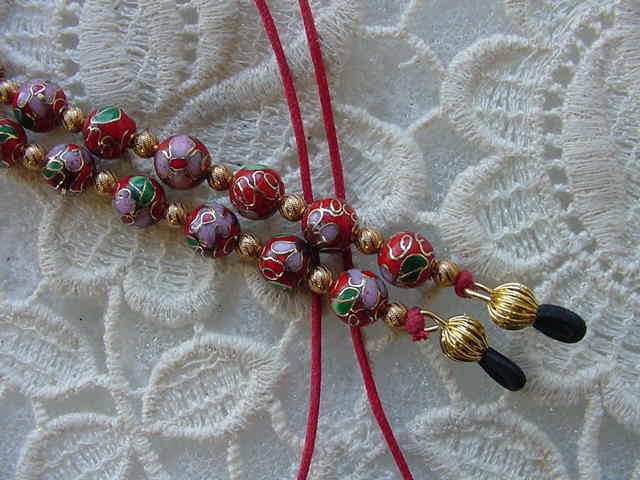 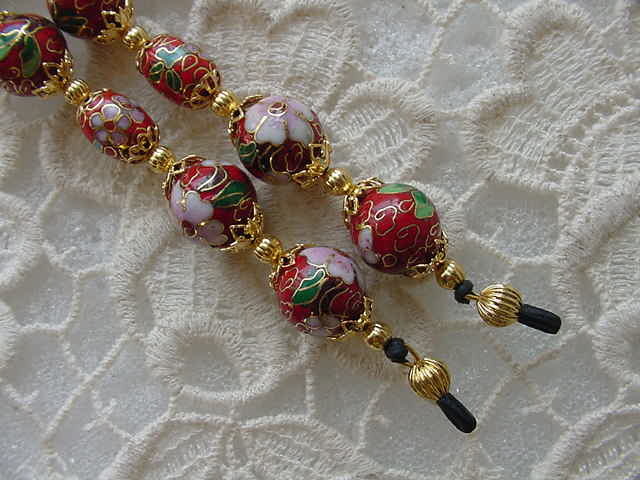 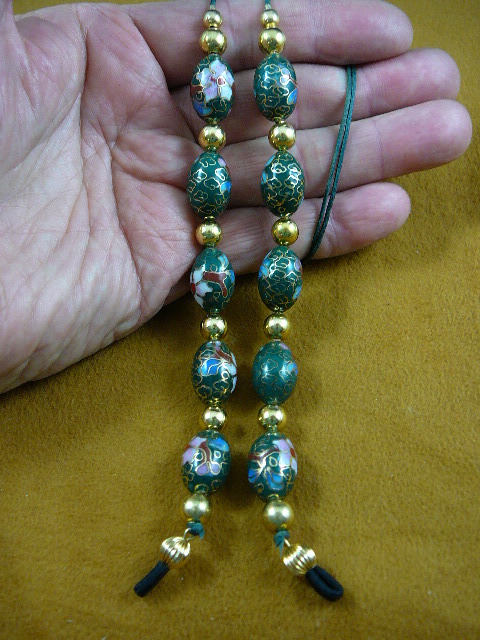 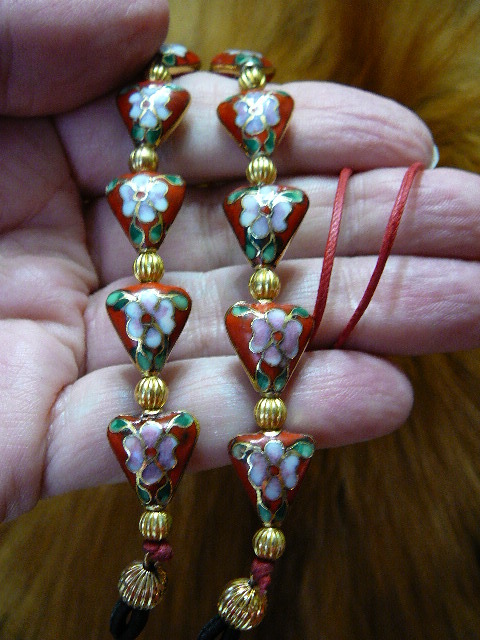 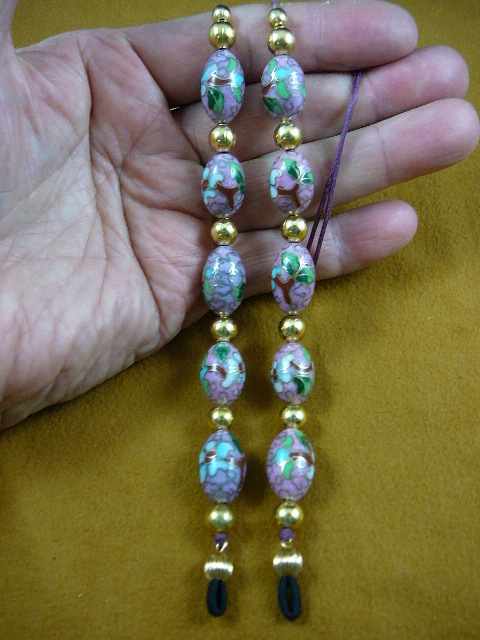 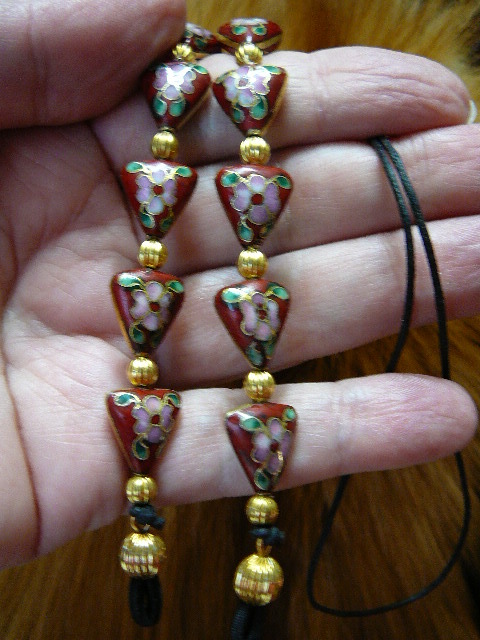 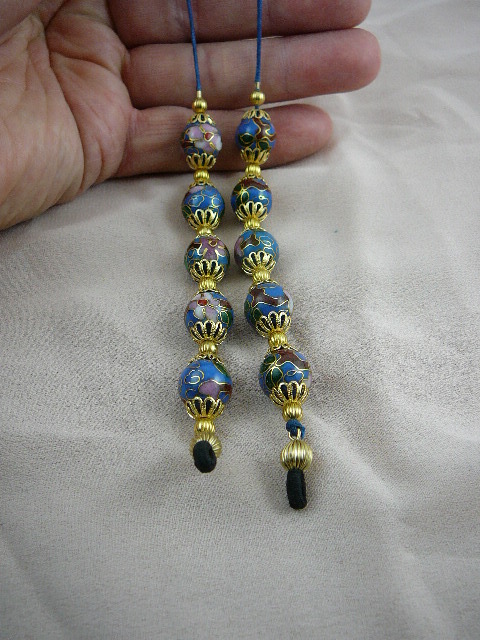 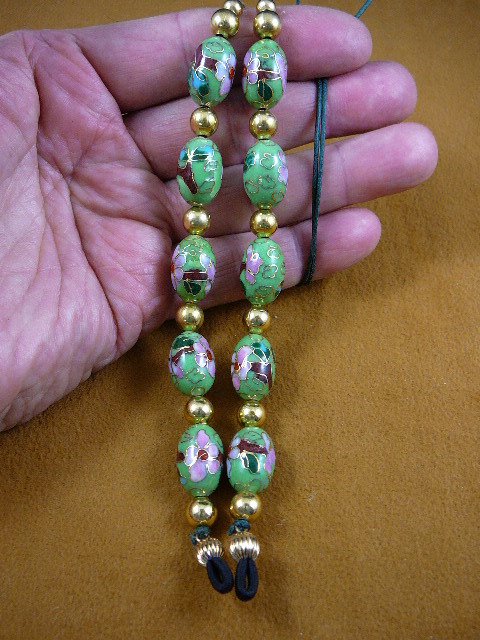 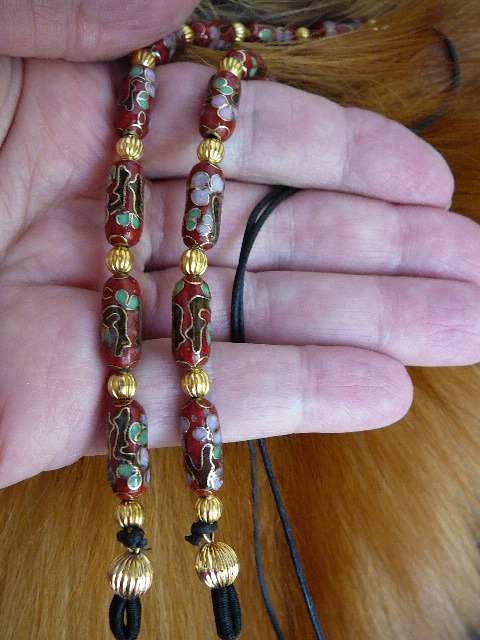 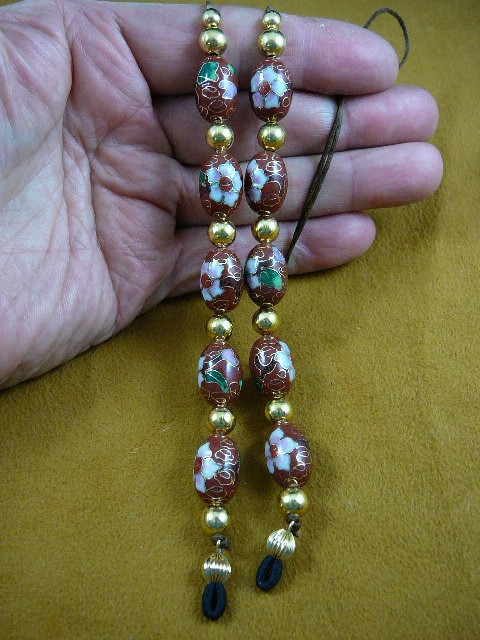 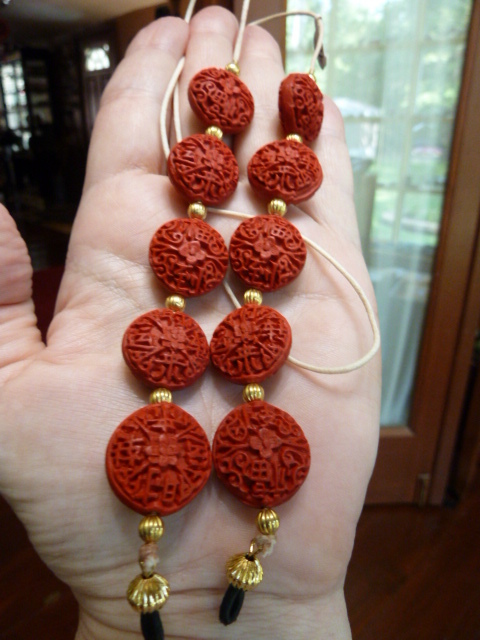 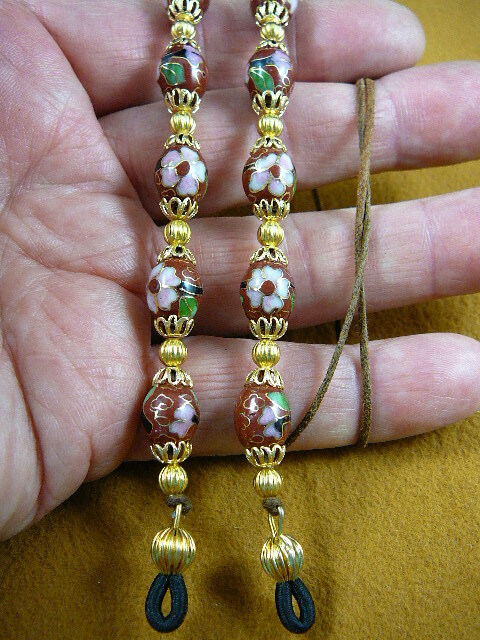 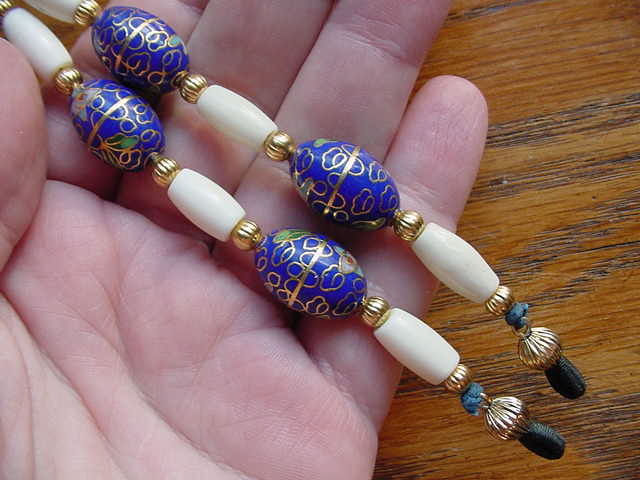 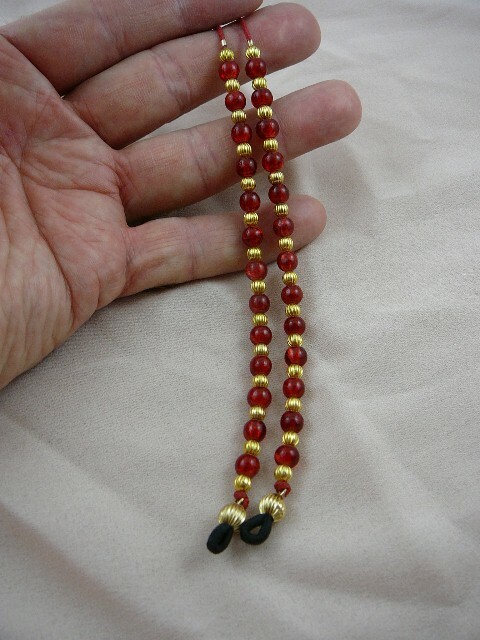 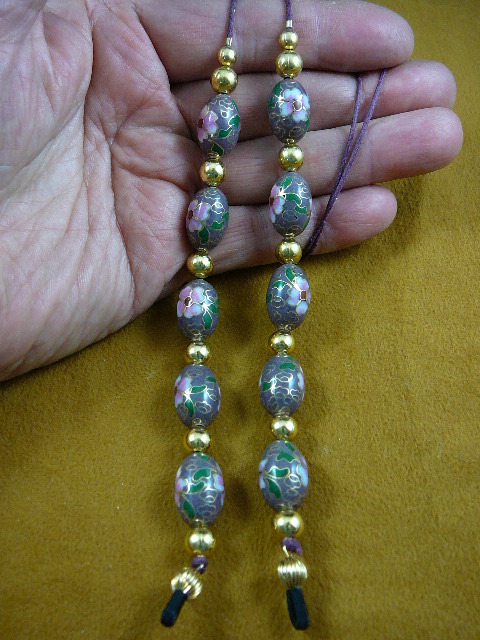 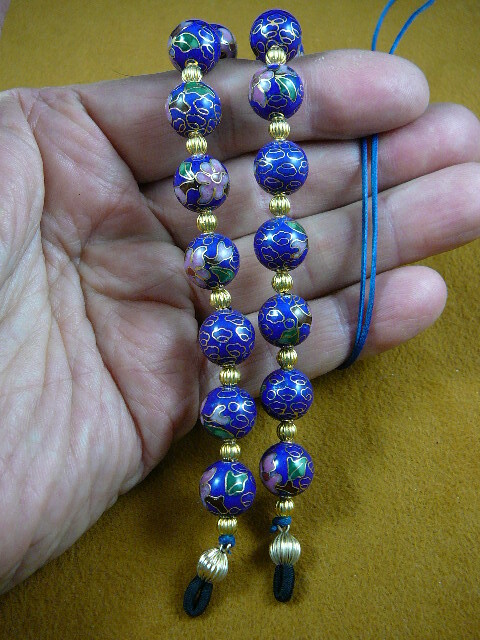 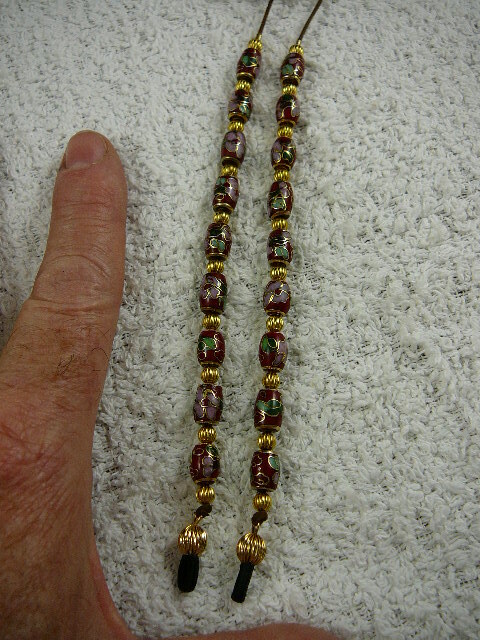 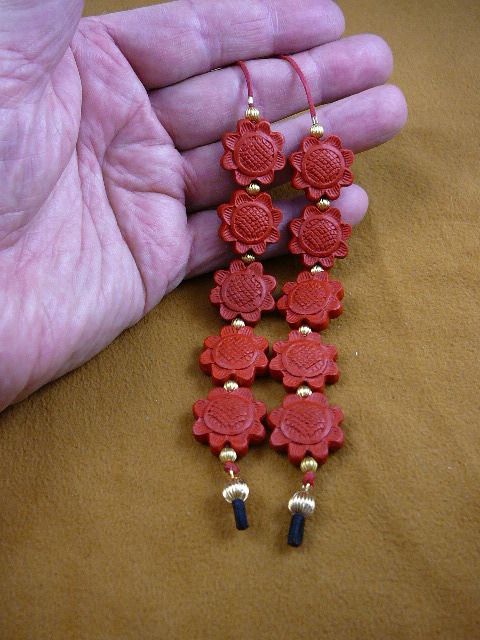 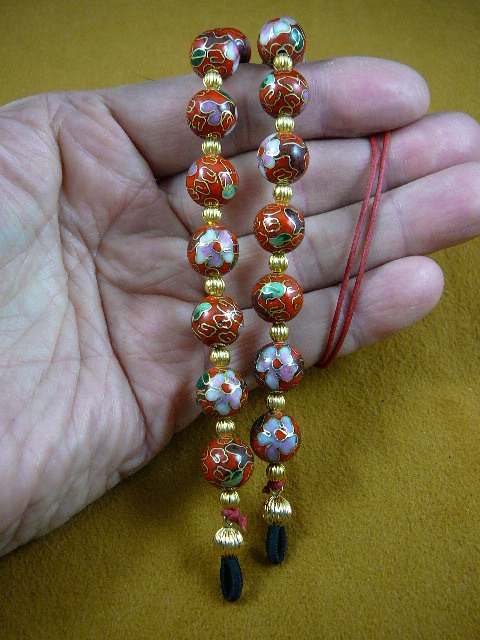 This is cinnabar COLOR pigment on carved wooden beads - safe! 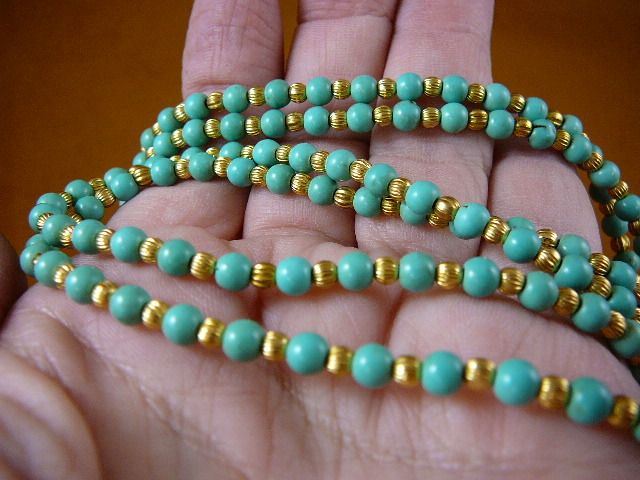 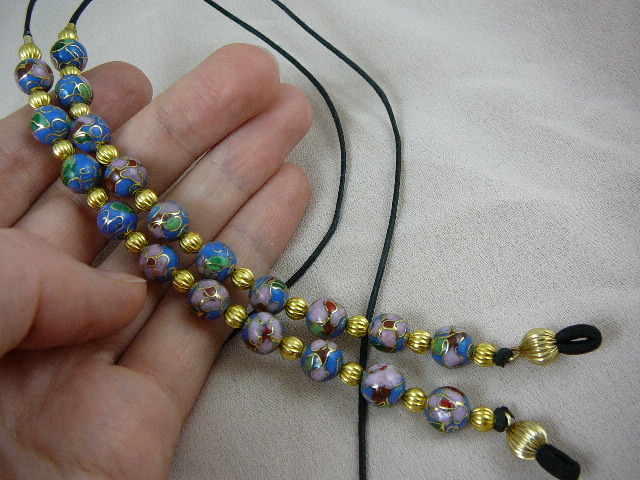 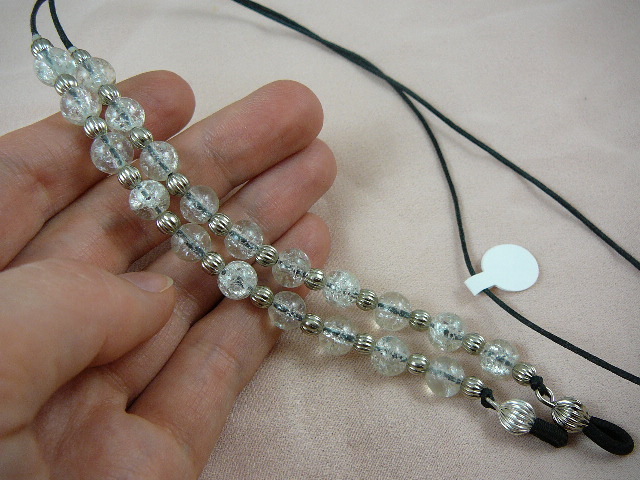 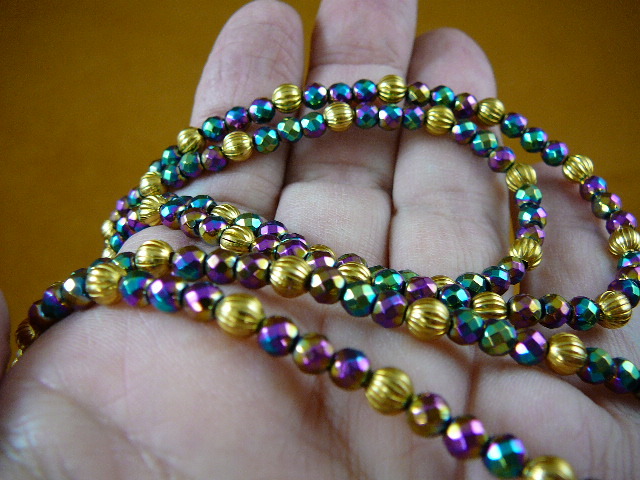 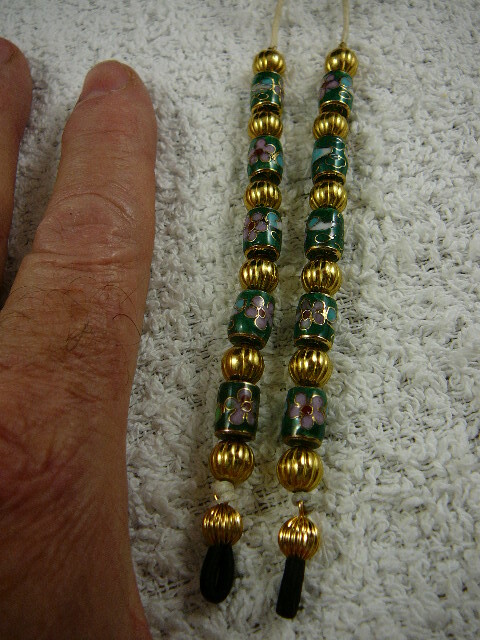 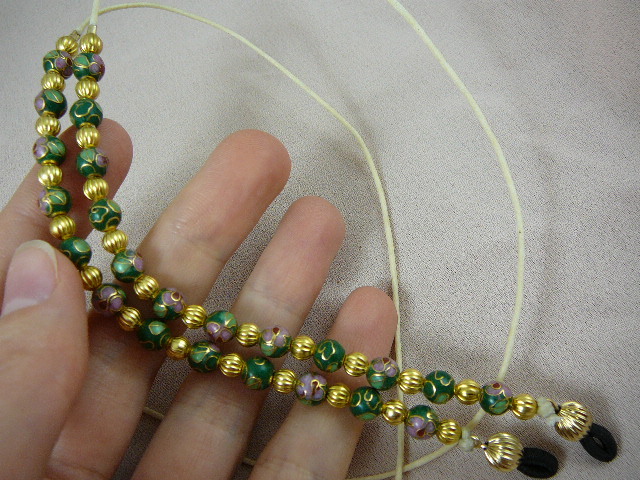 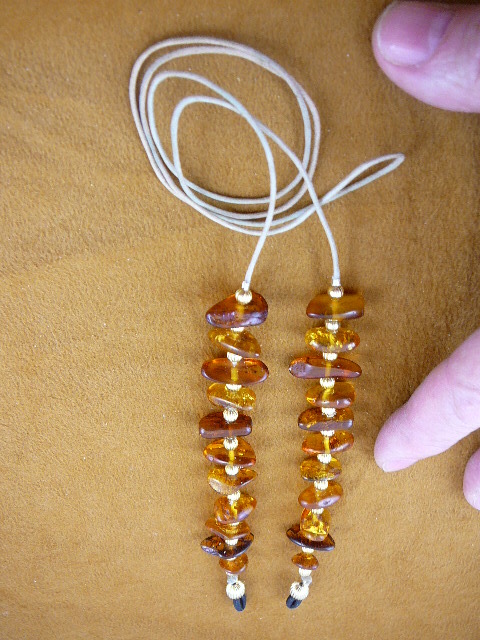 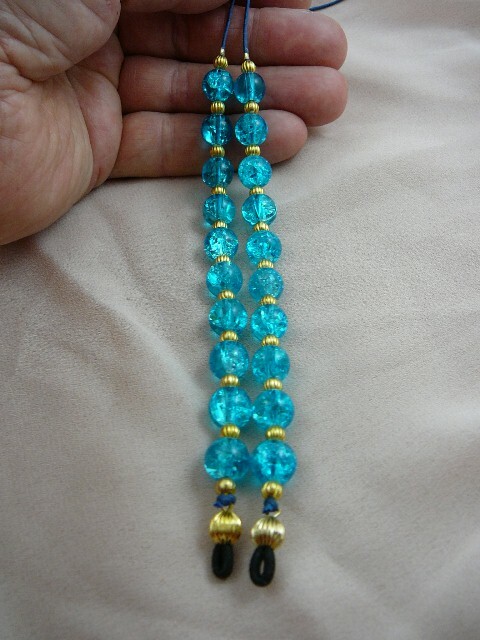 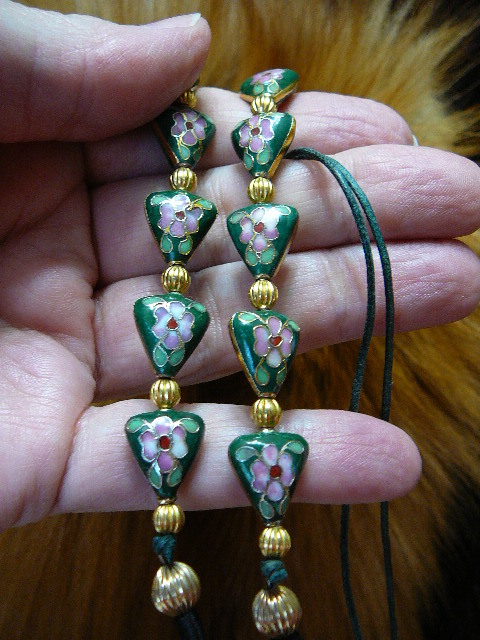 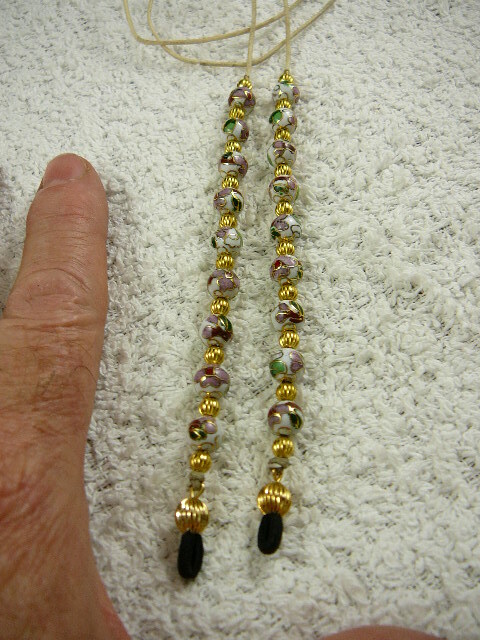 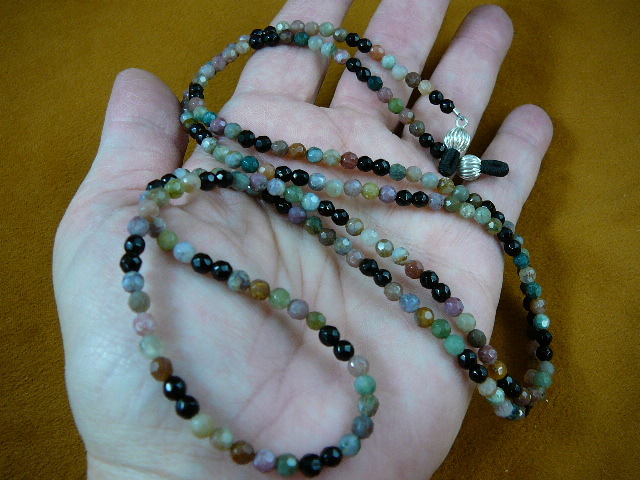 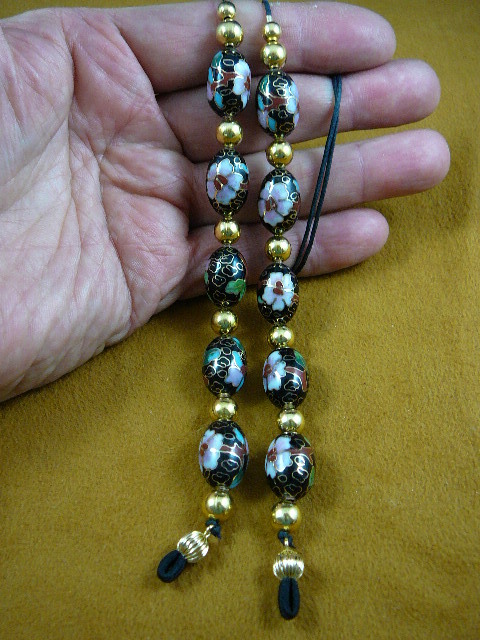 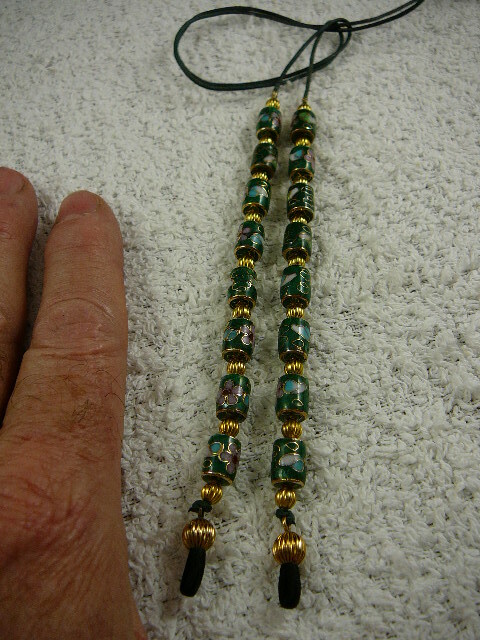 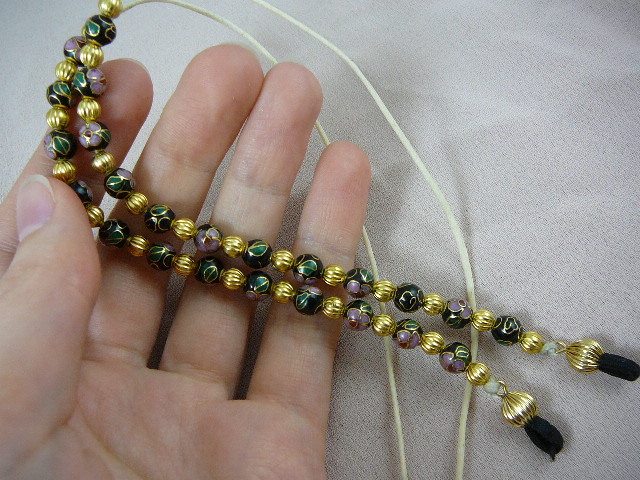 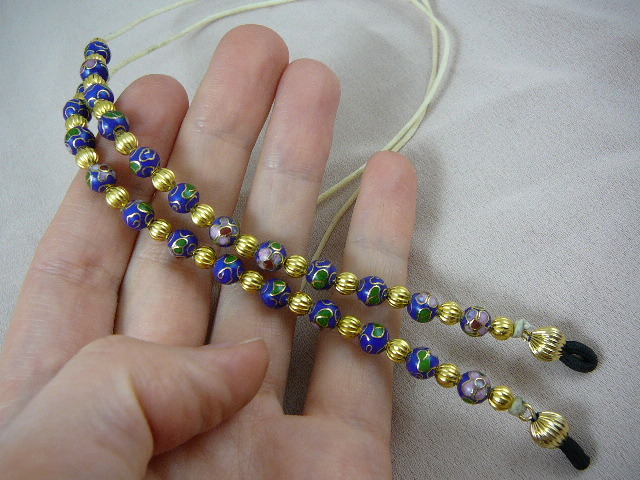 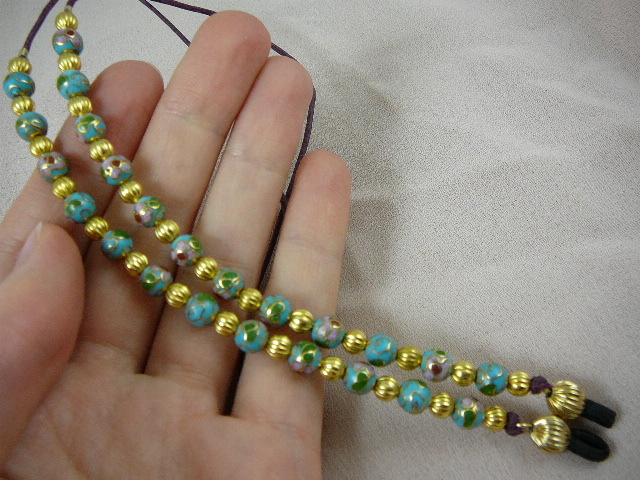 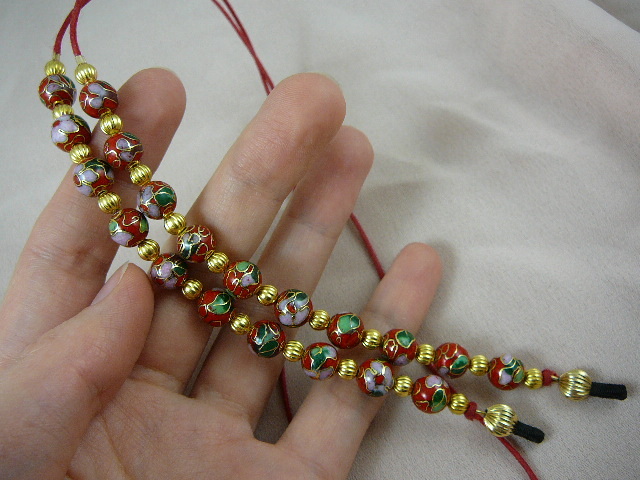 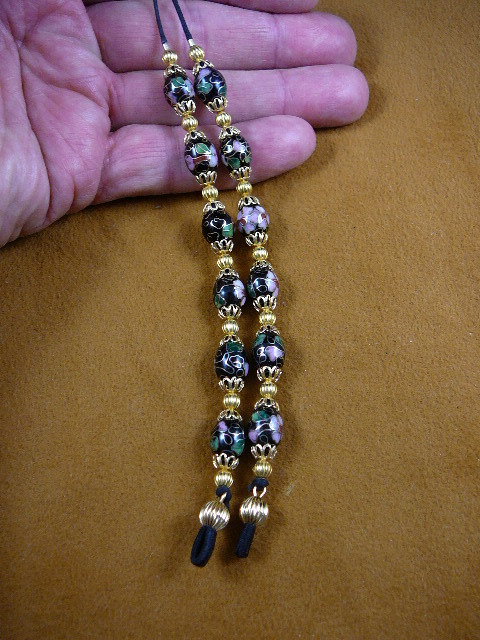 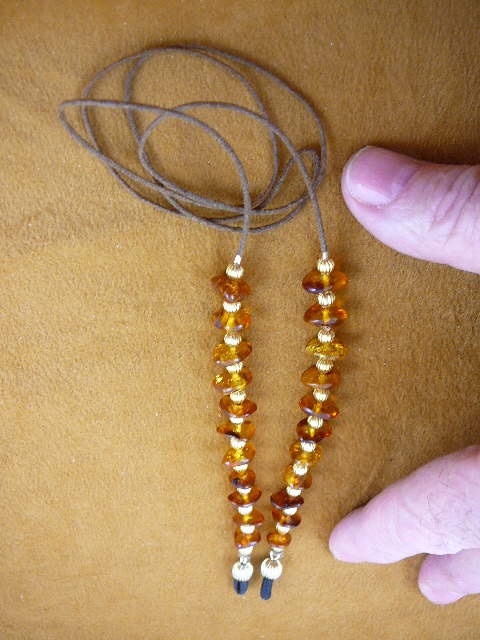 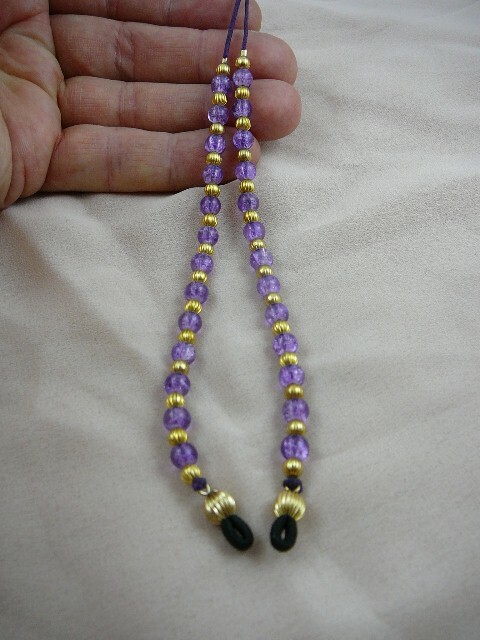 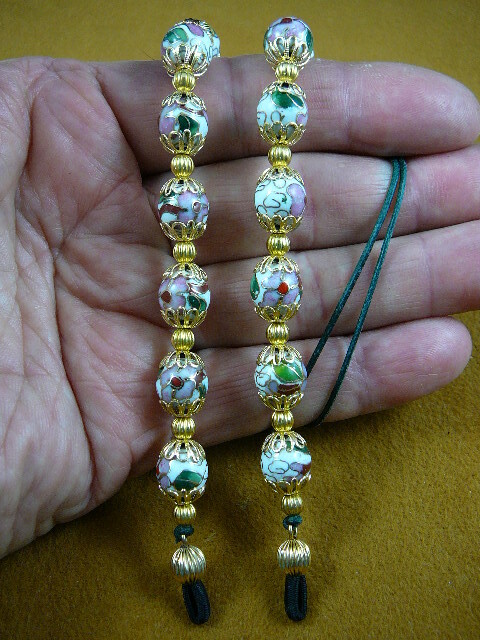 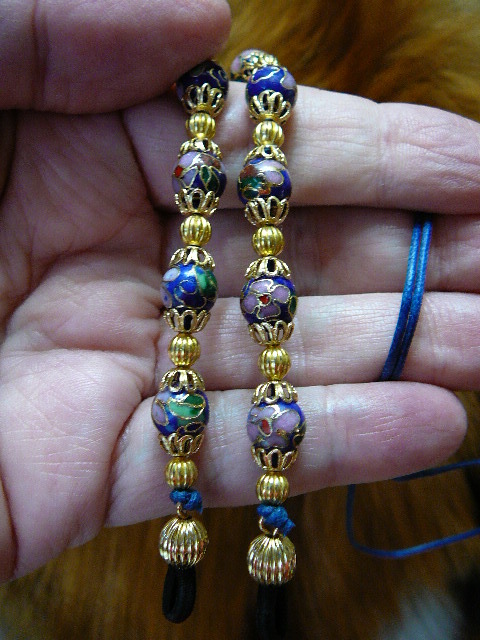 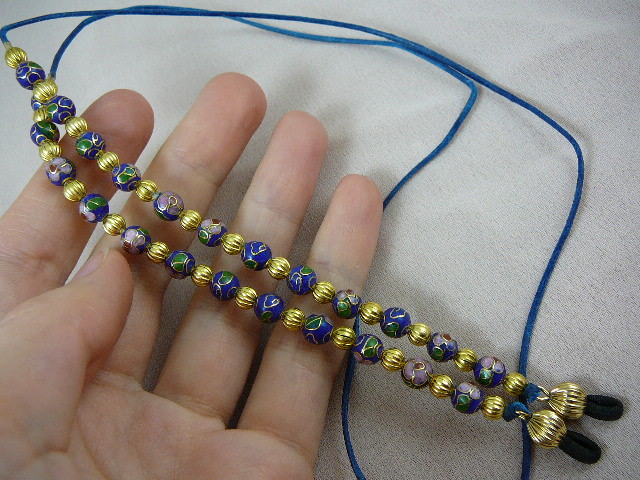 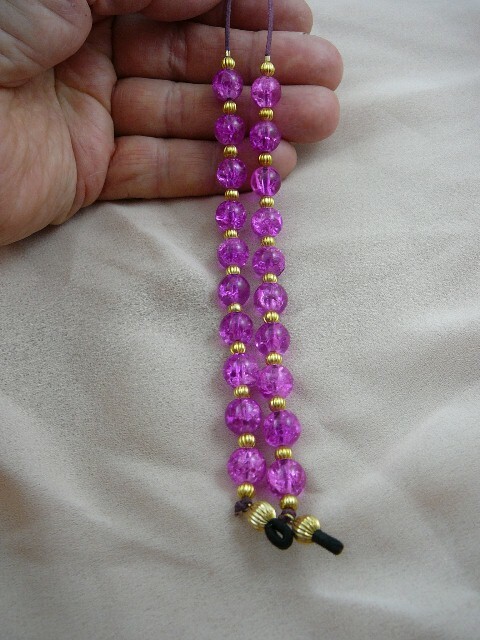 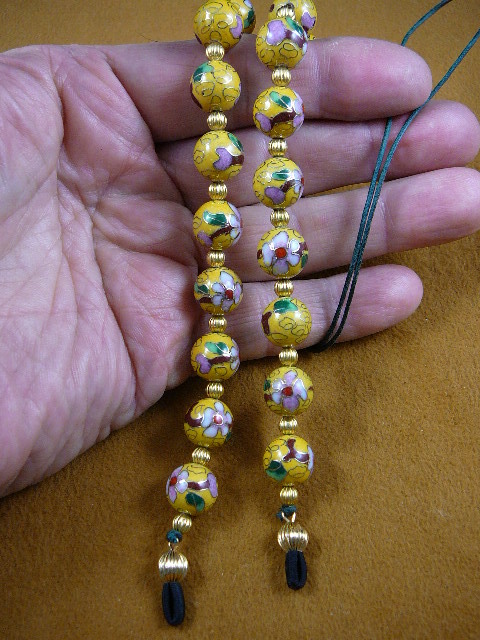 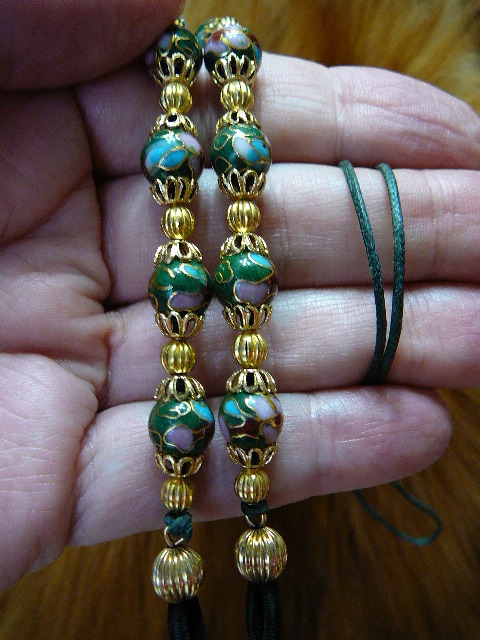 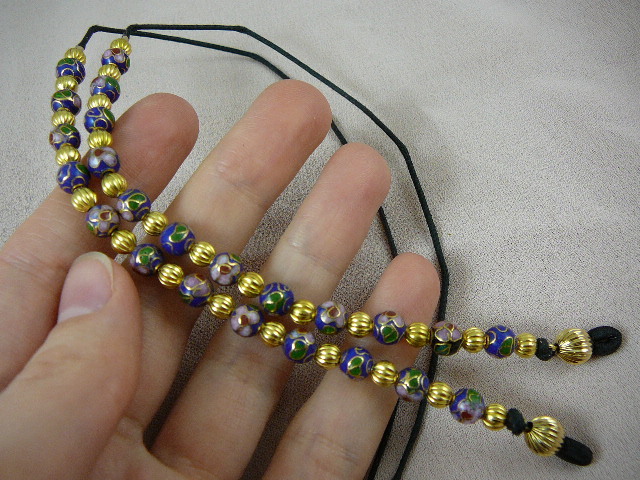 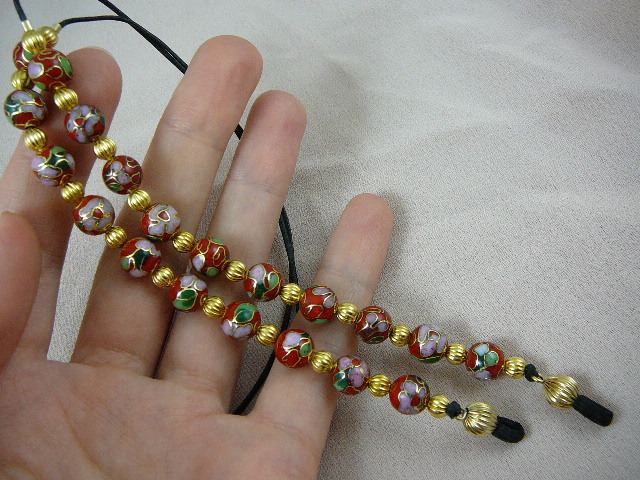 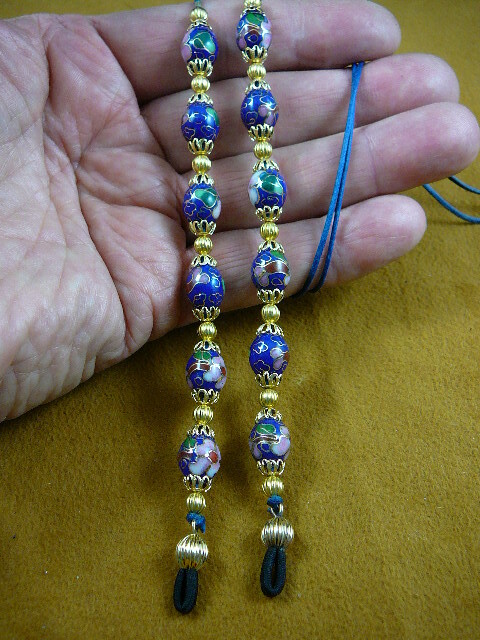 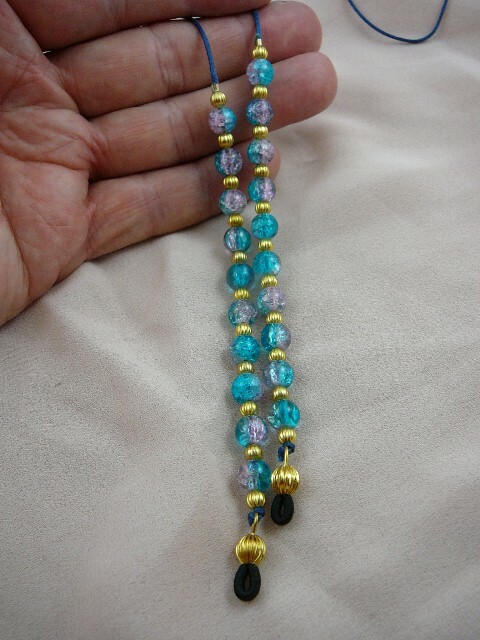 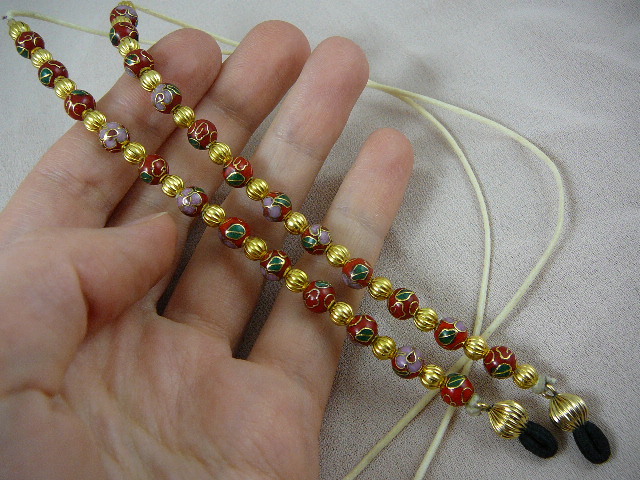 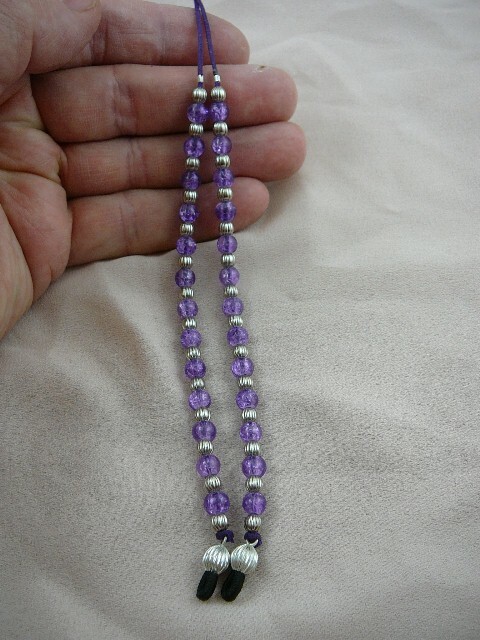 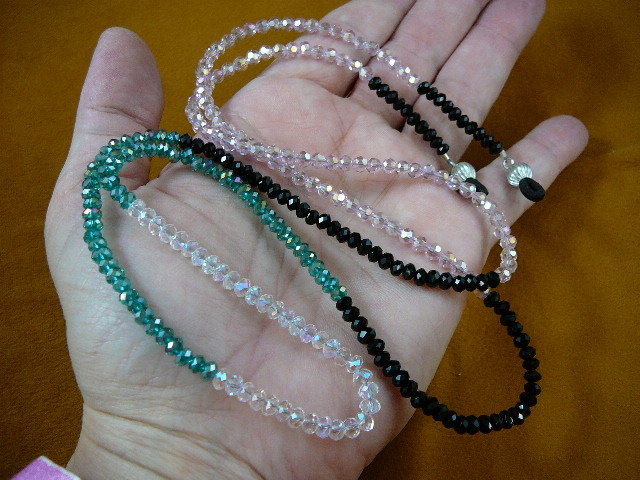 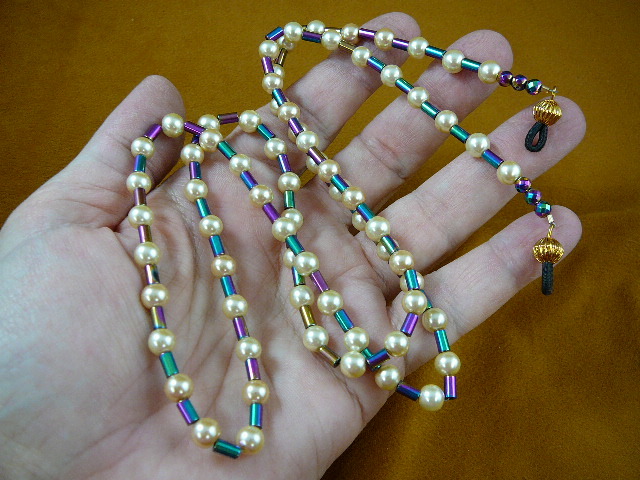 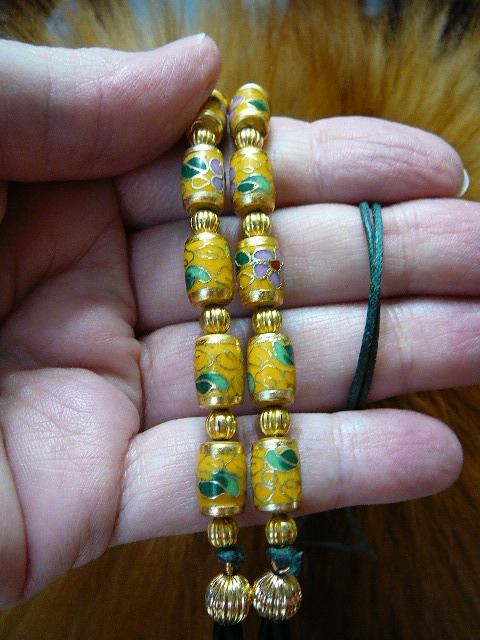 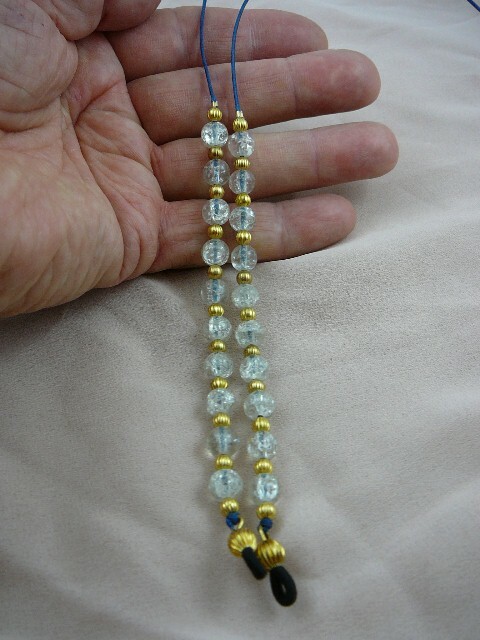 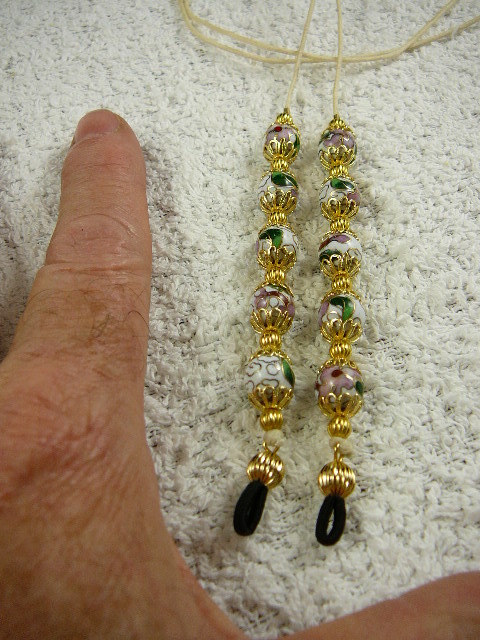 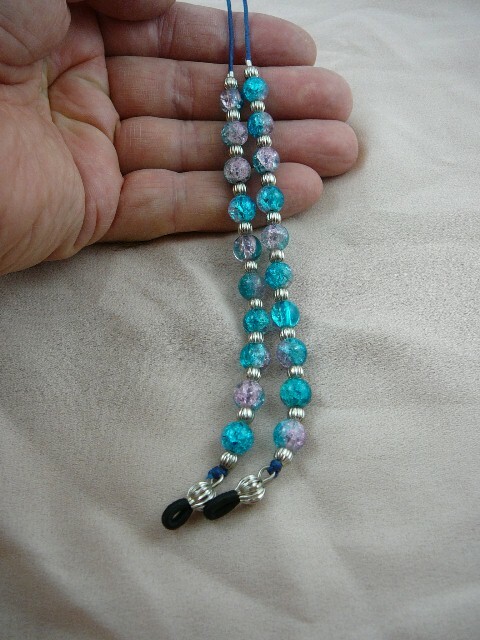 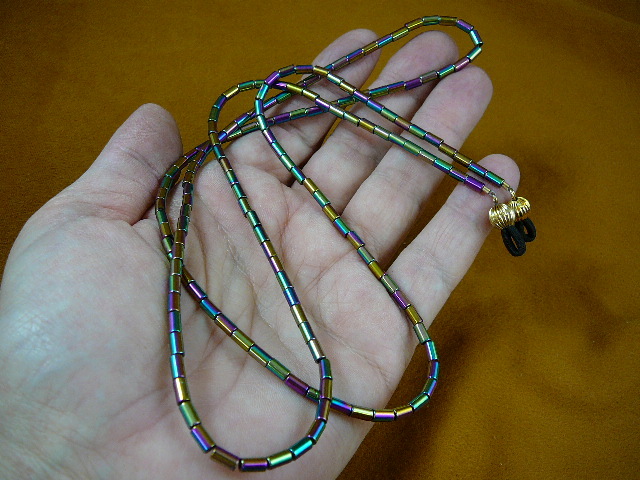 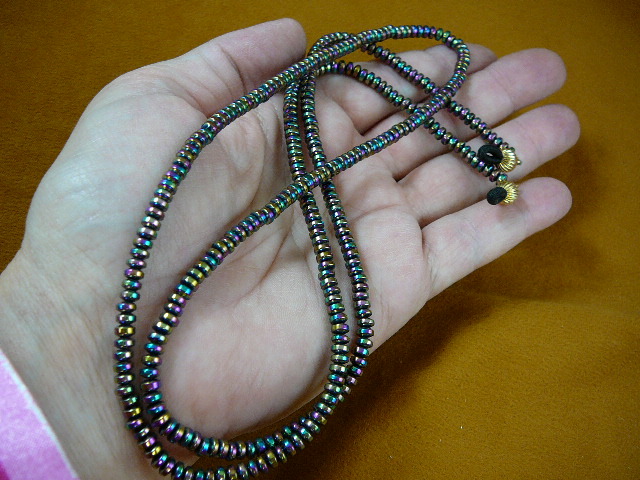 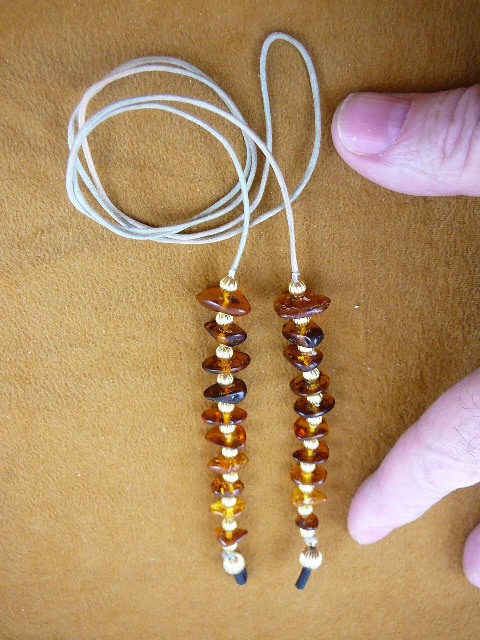 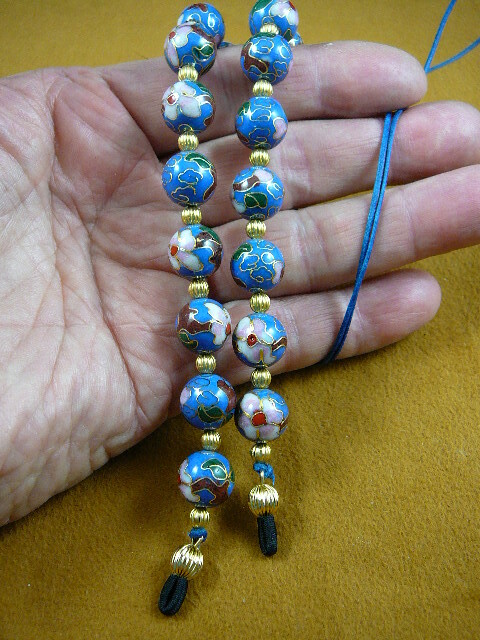 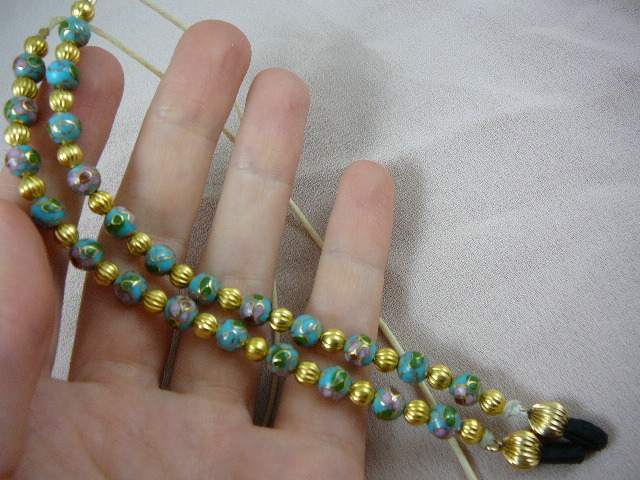 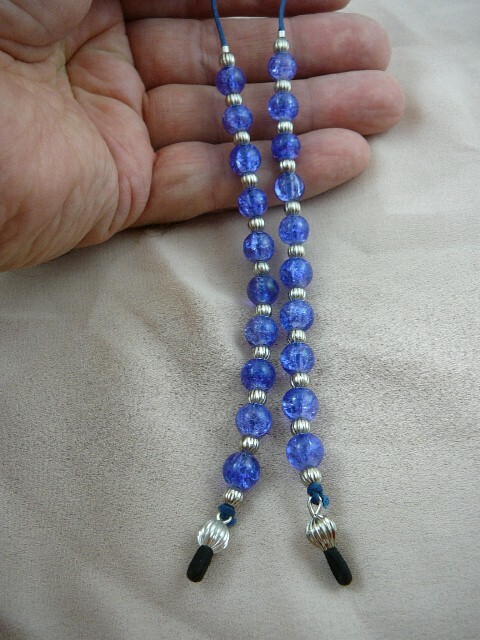 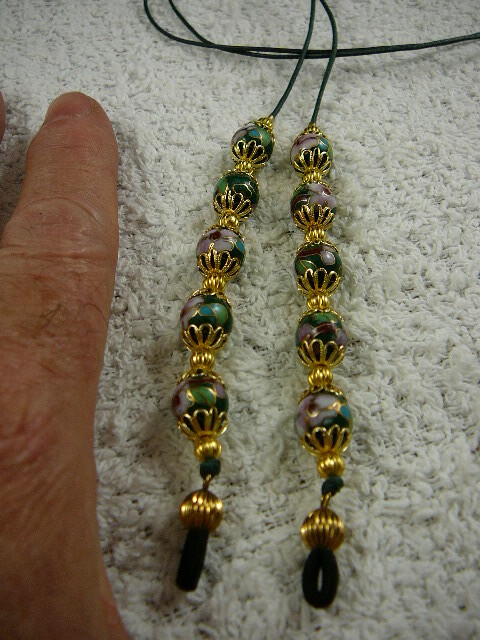 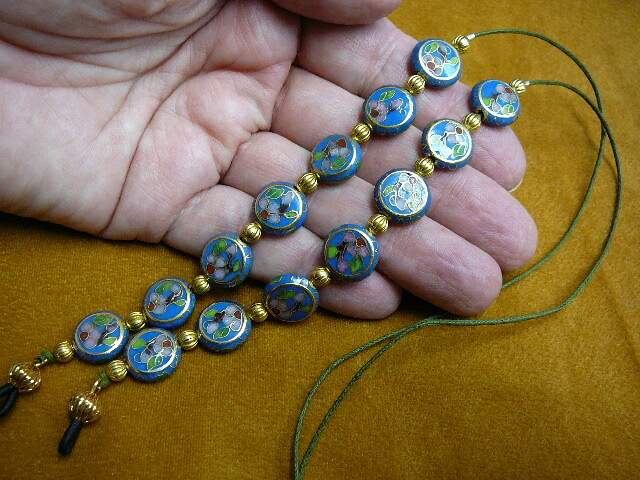 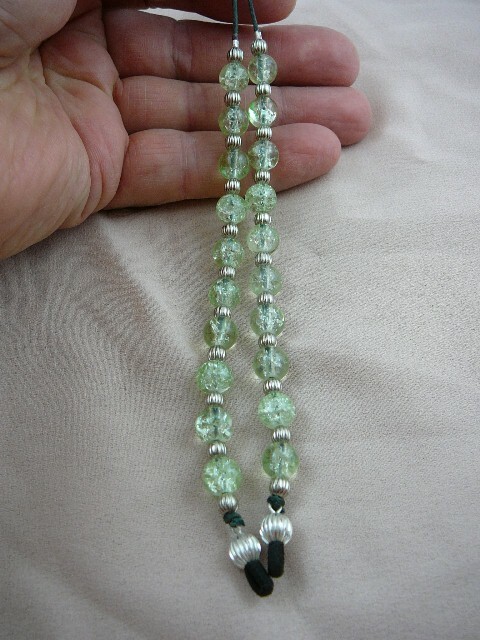 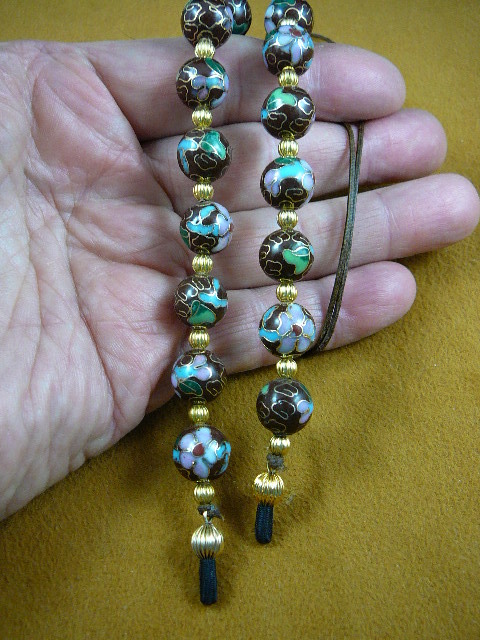 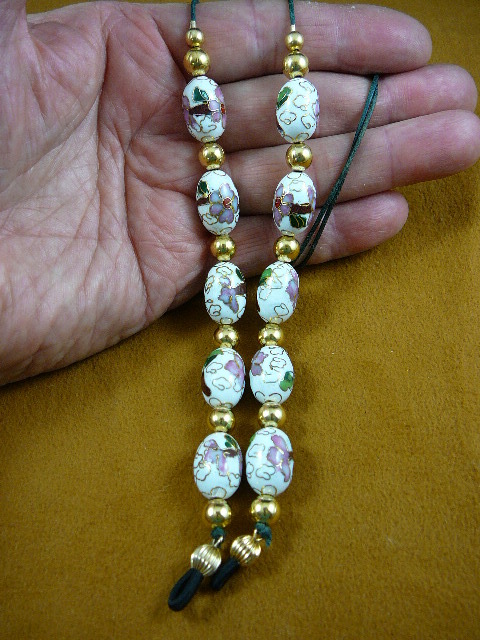 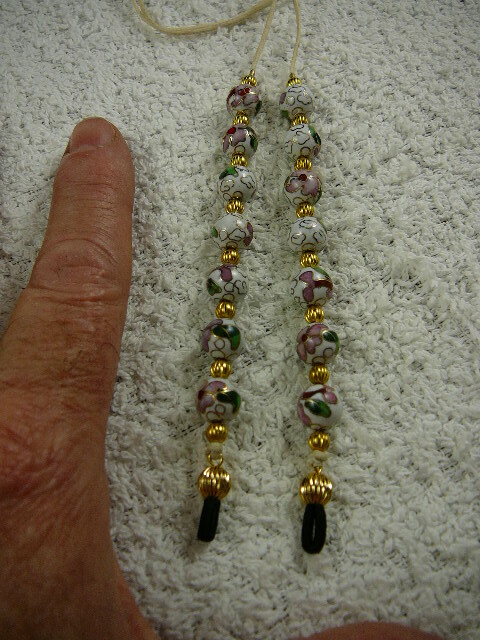 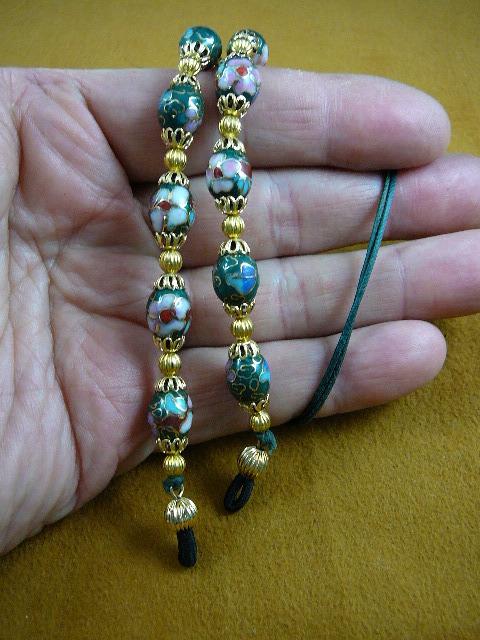 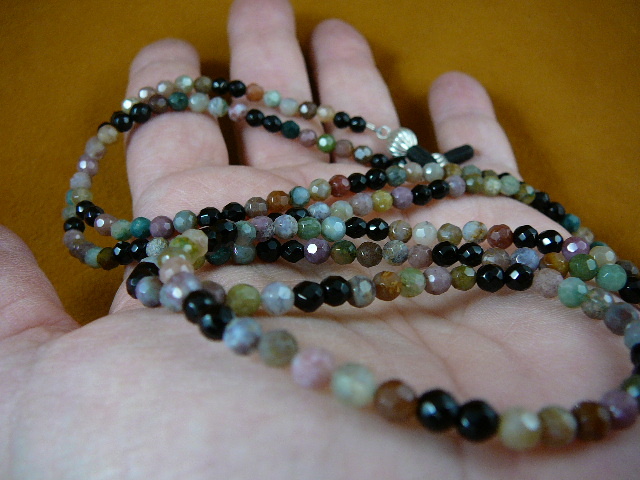 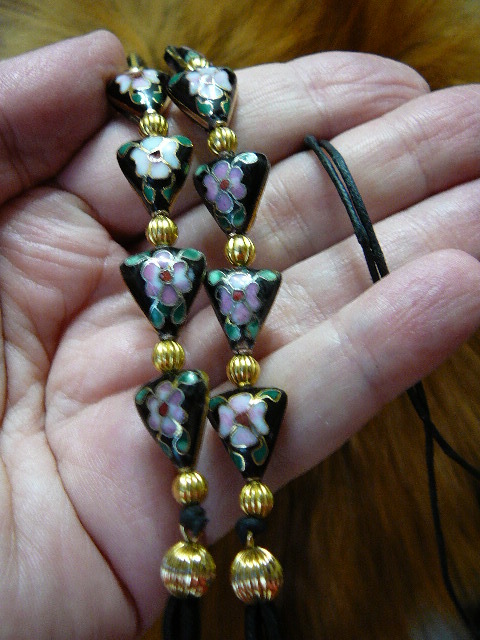 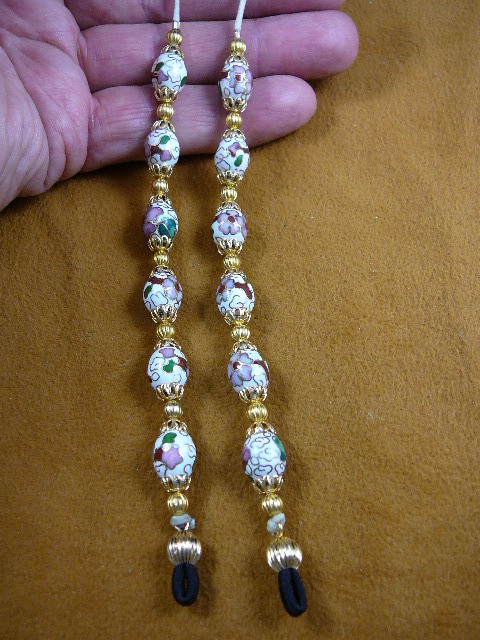 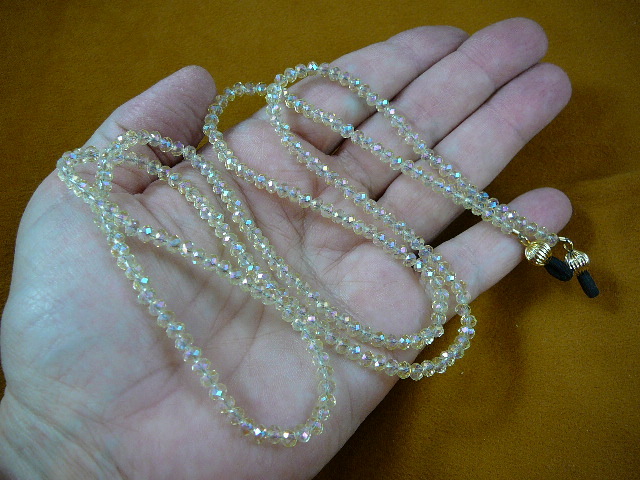 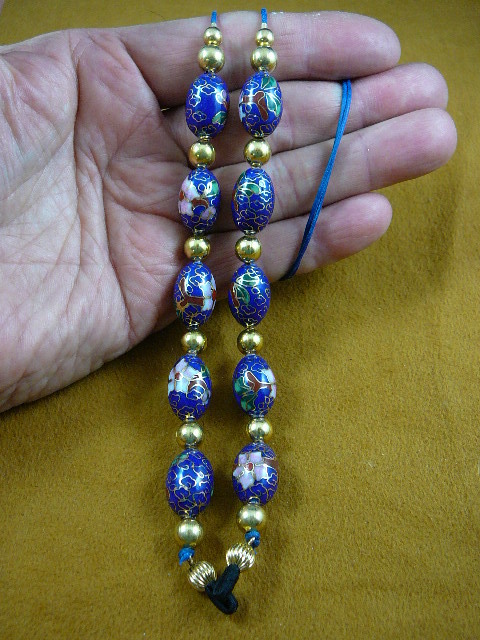 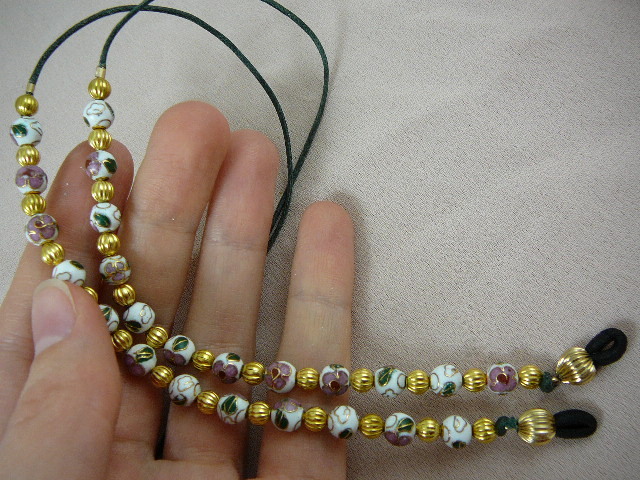 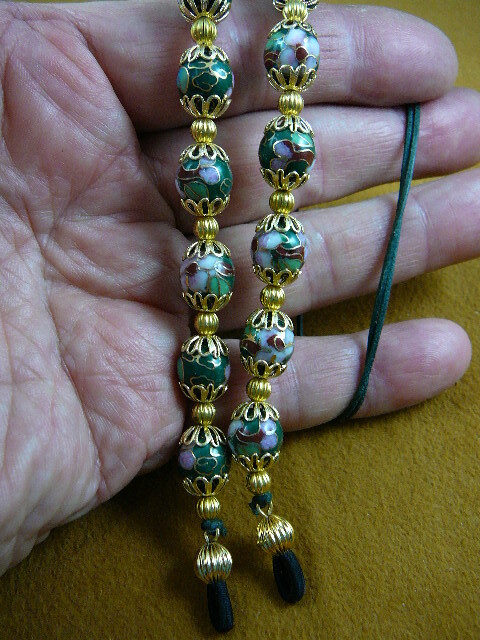 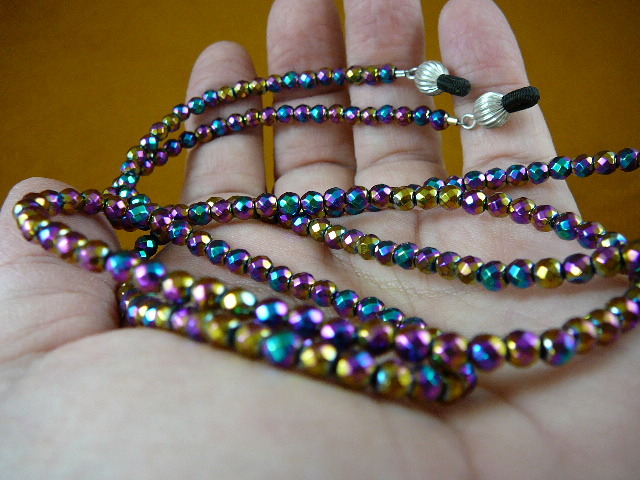 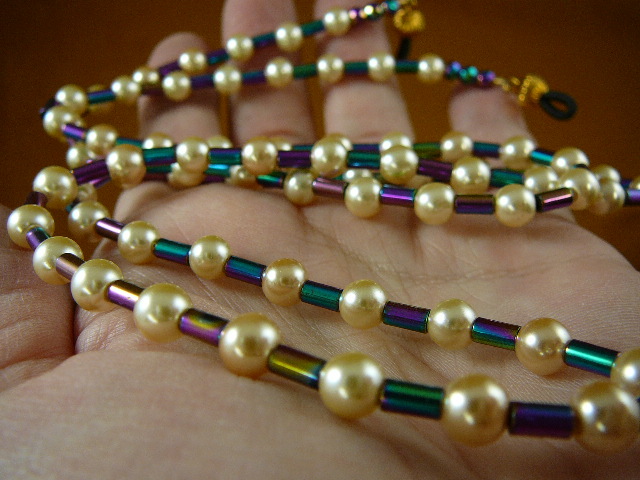 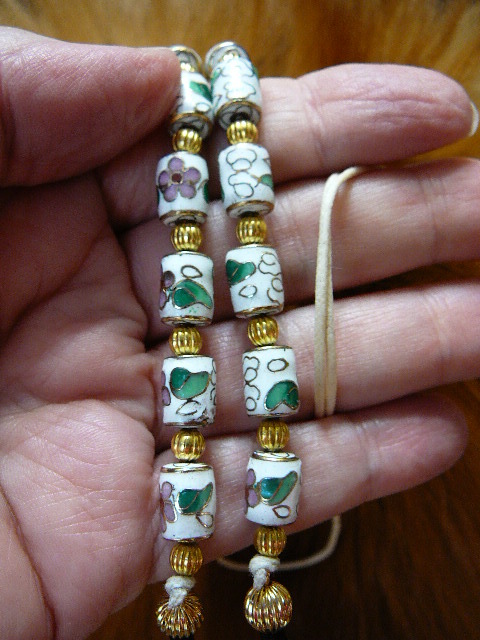 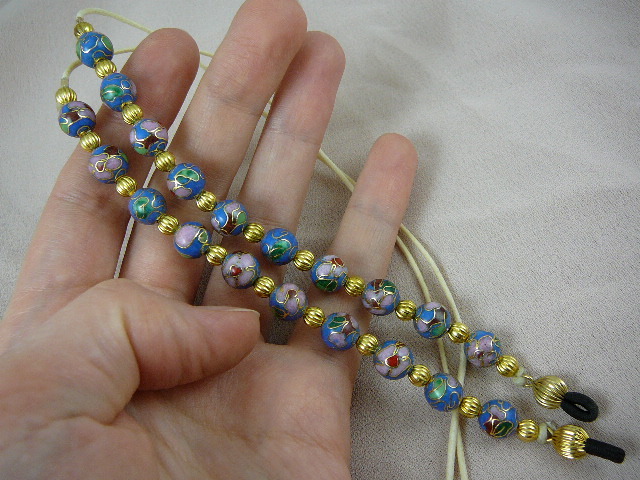 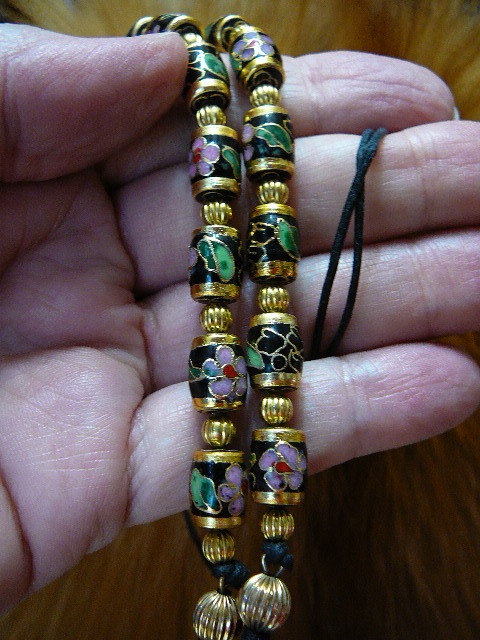 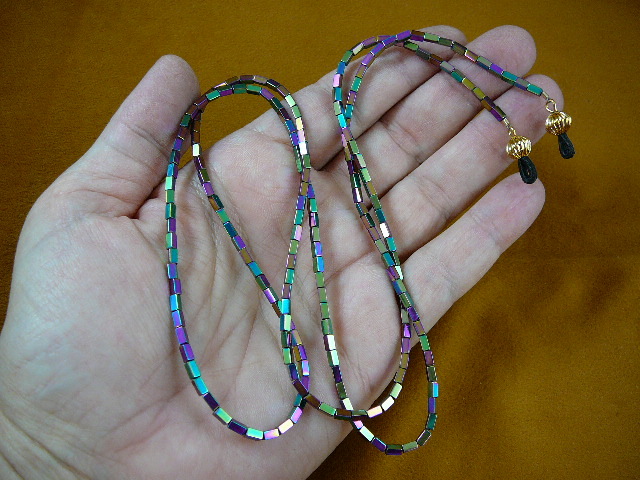 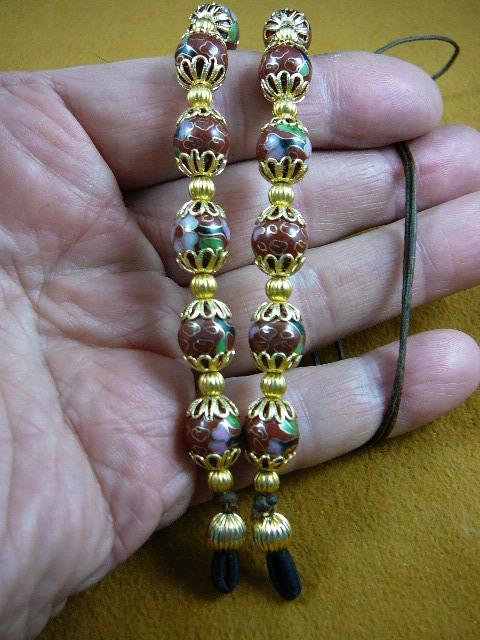 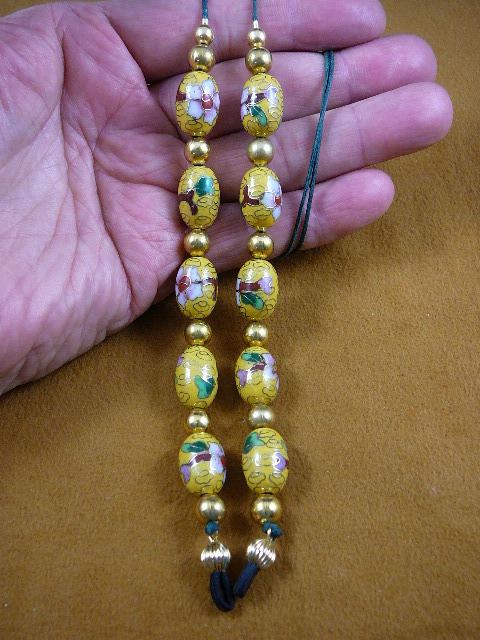 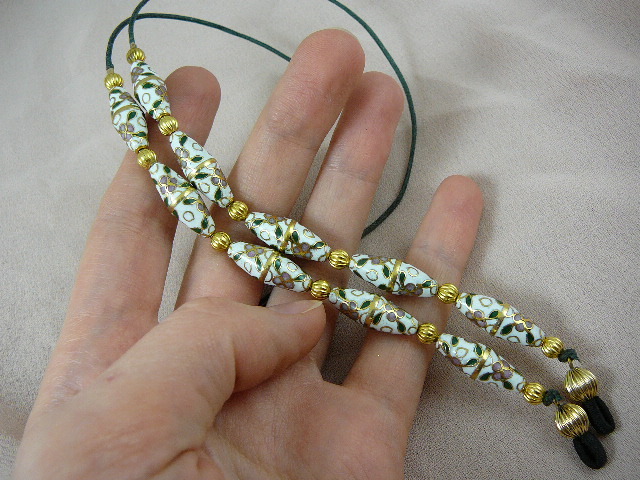 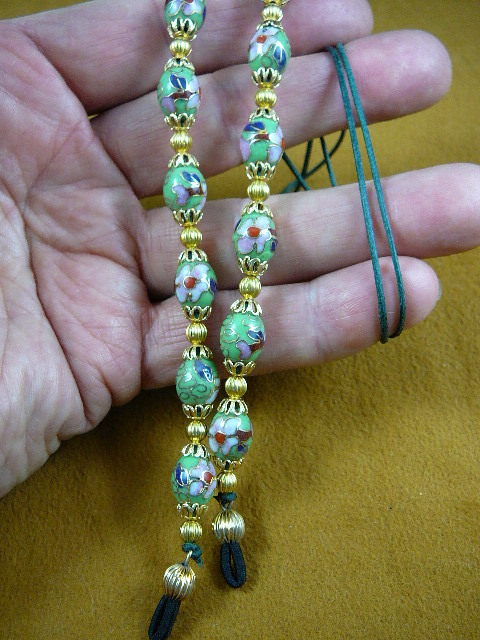 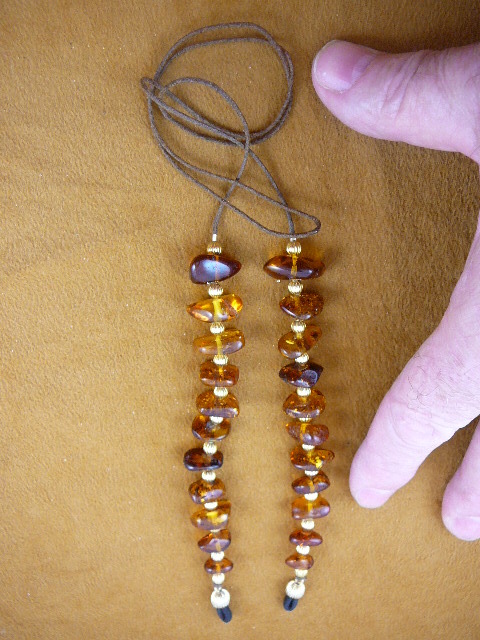 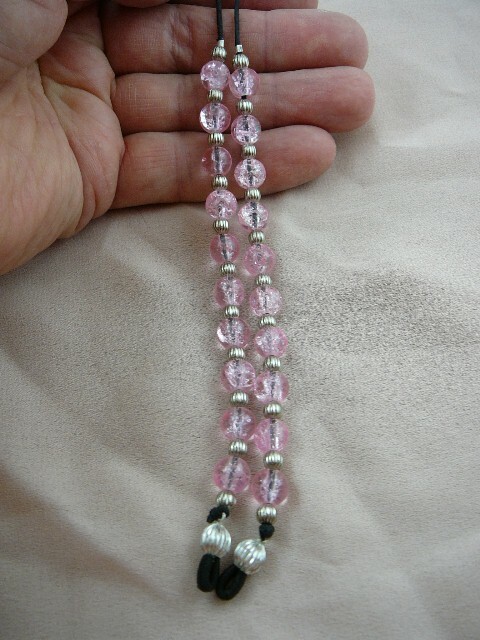 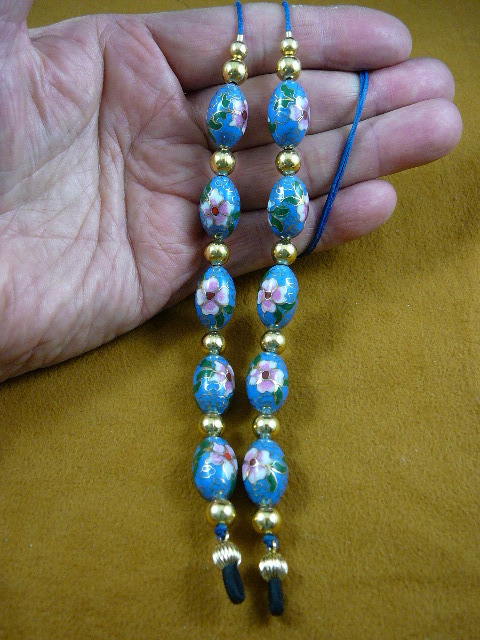 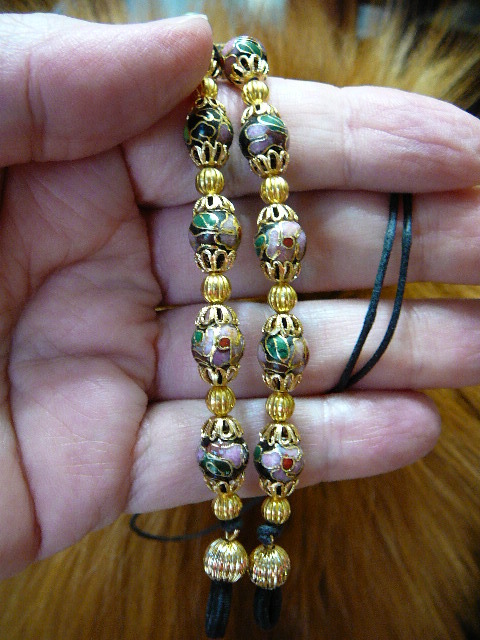 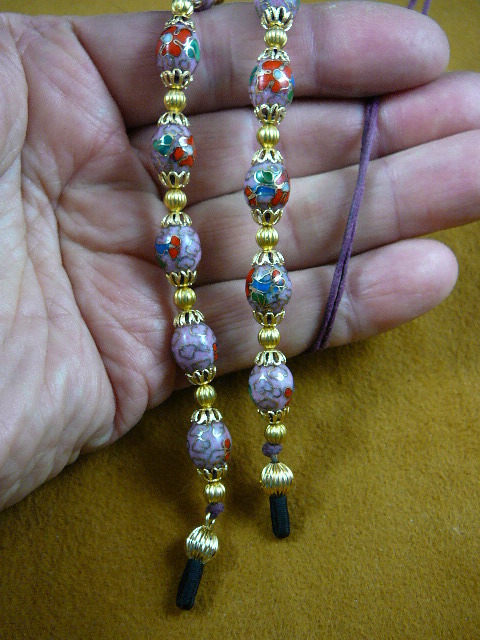 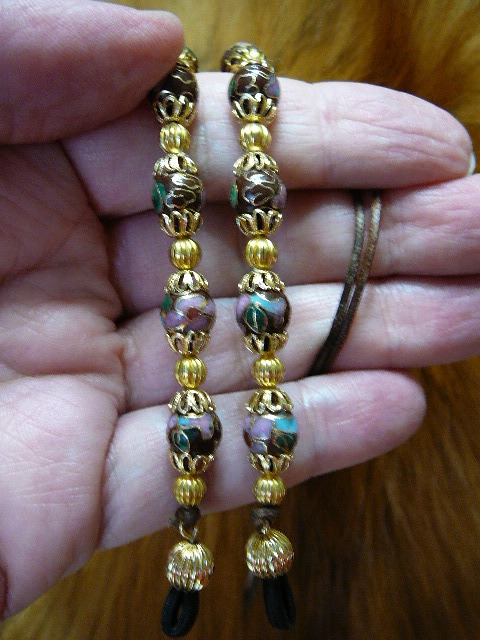 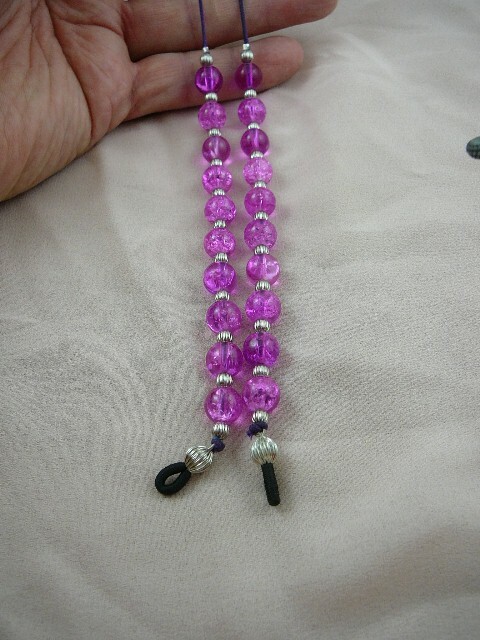 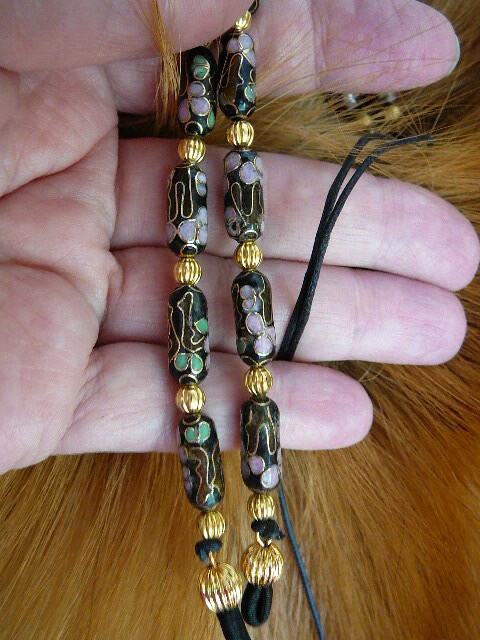 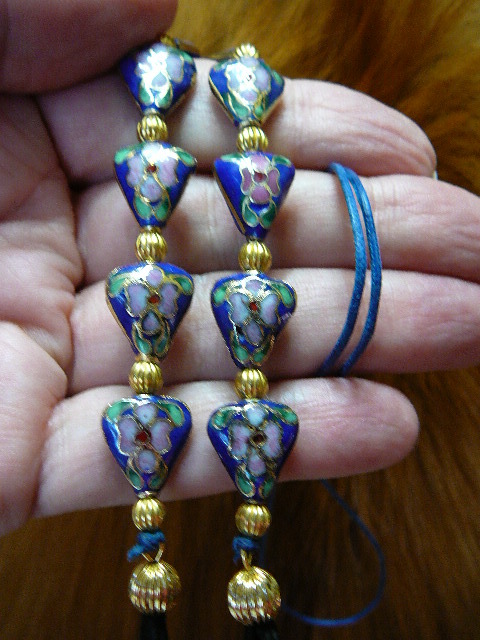 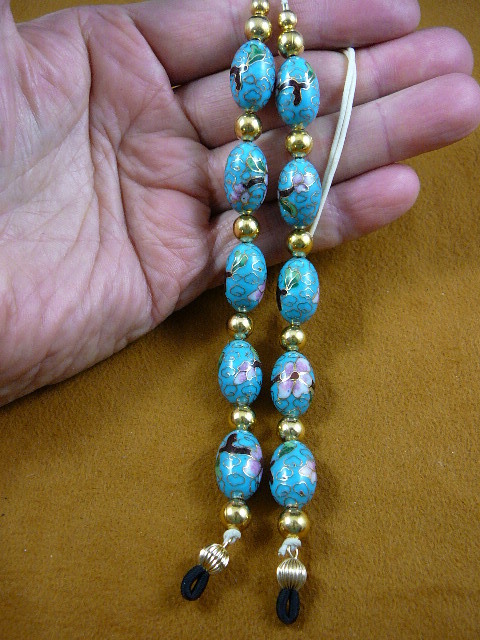 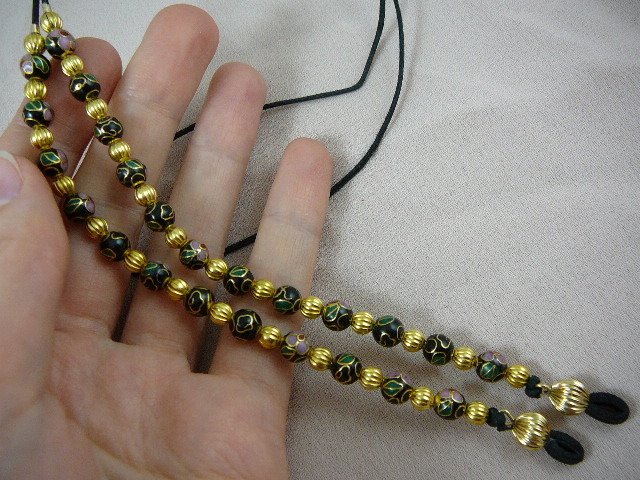 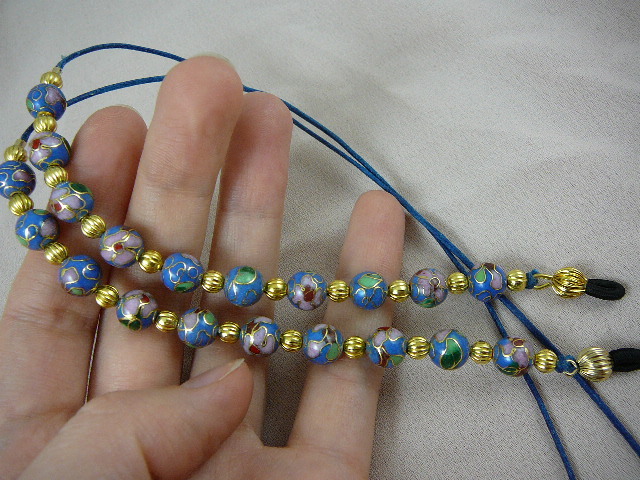 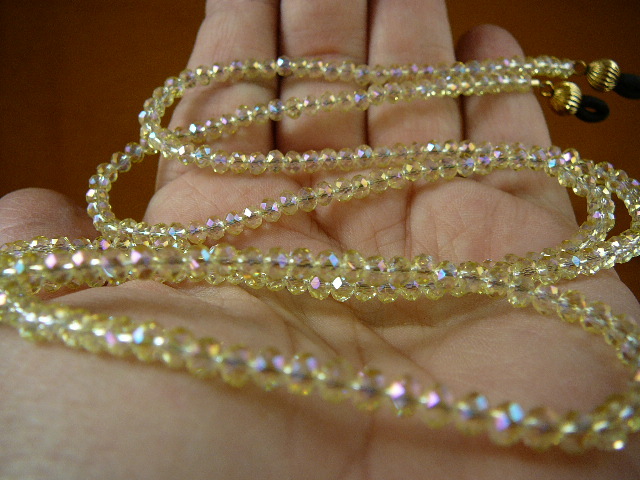 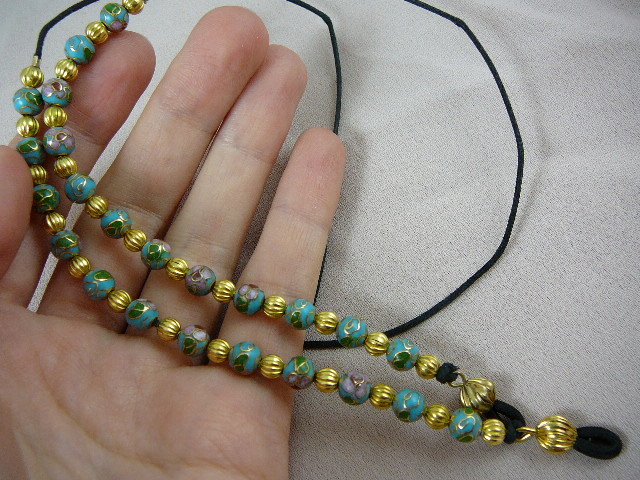 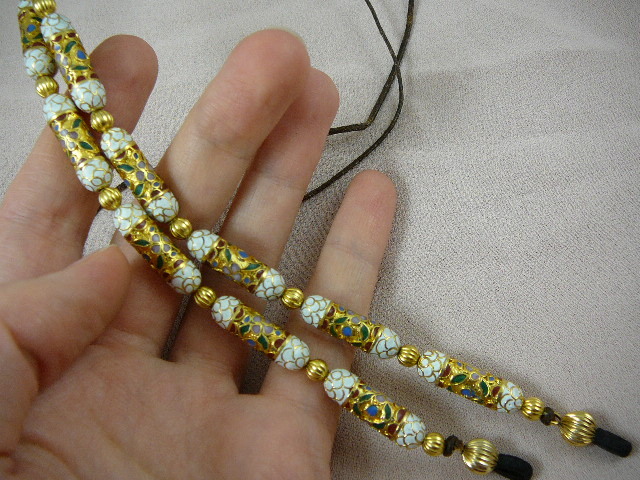 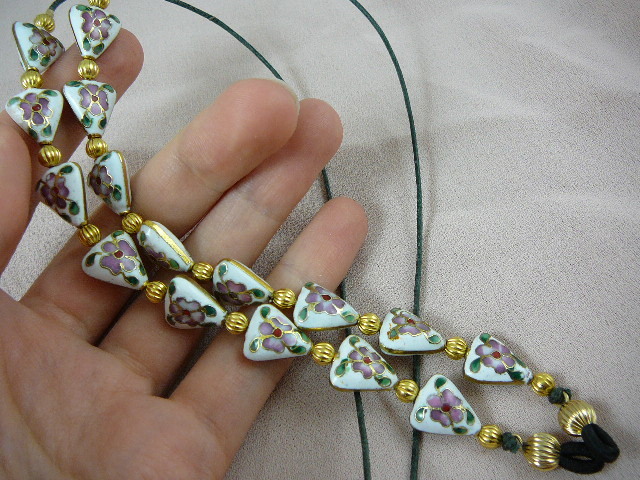 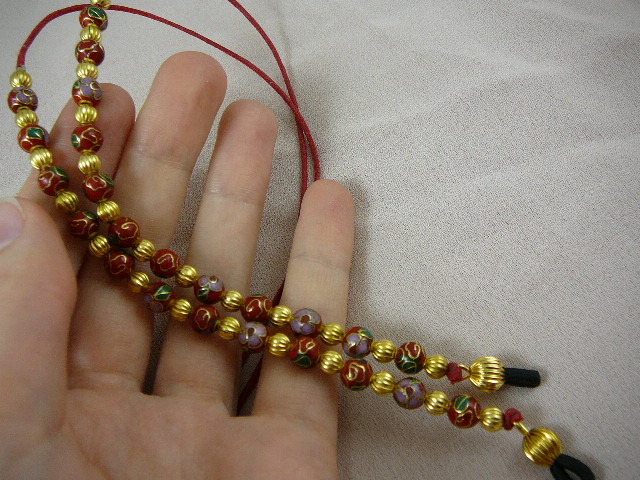 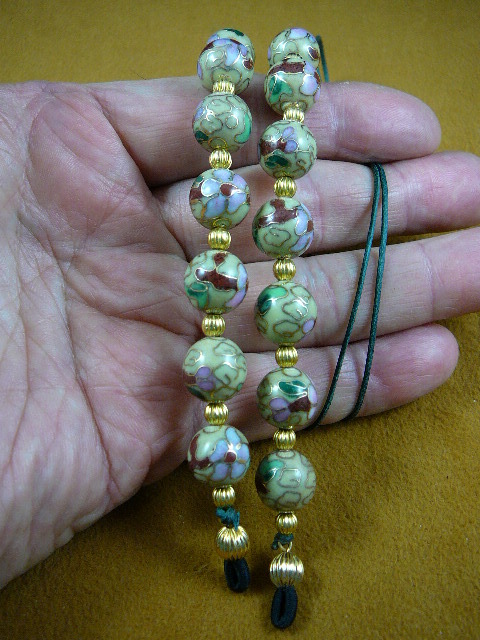 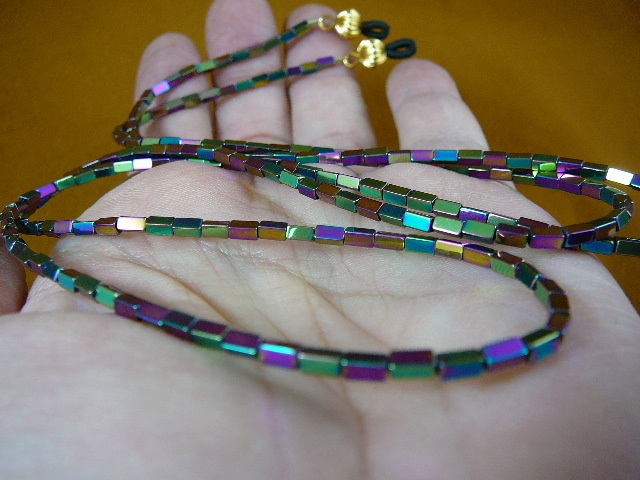 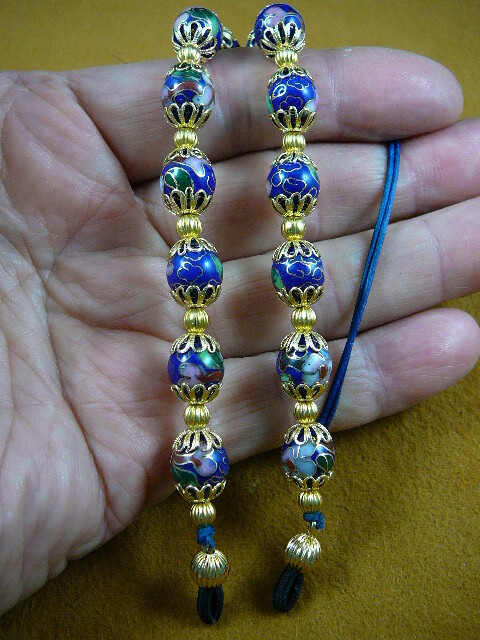 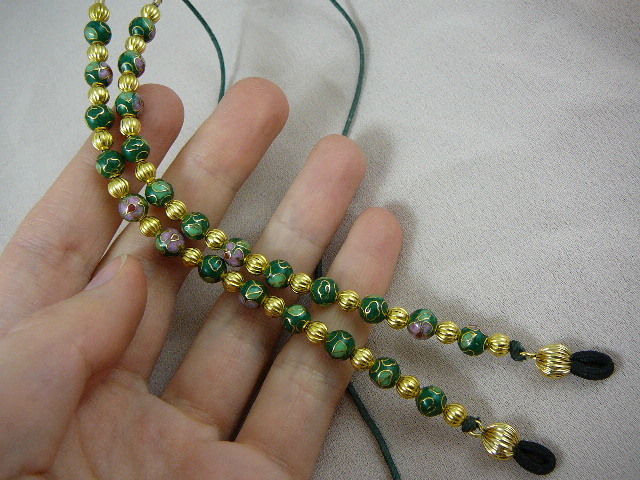 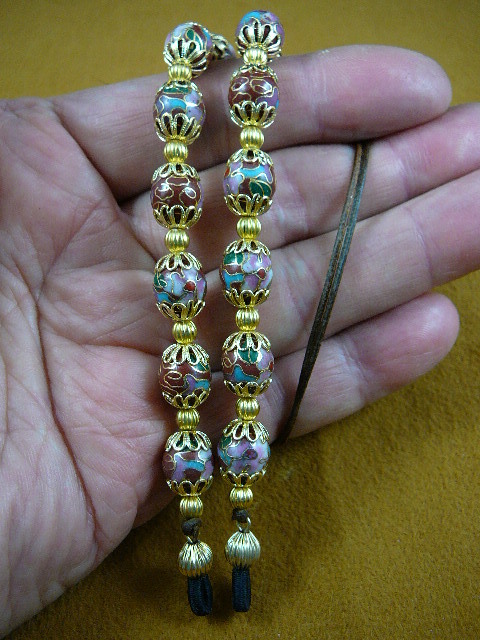 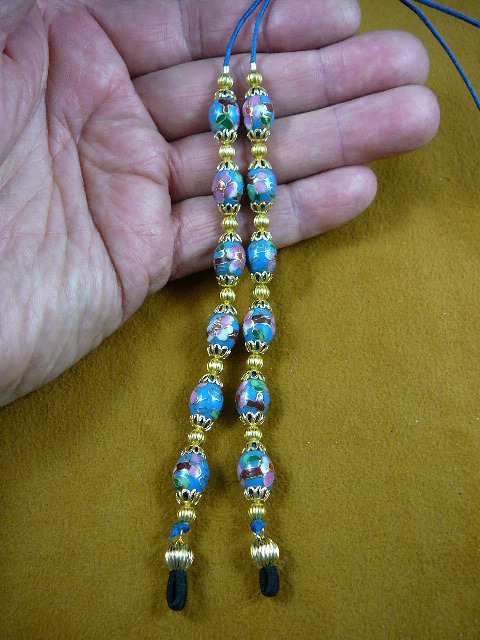 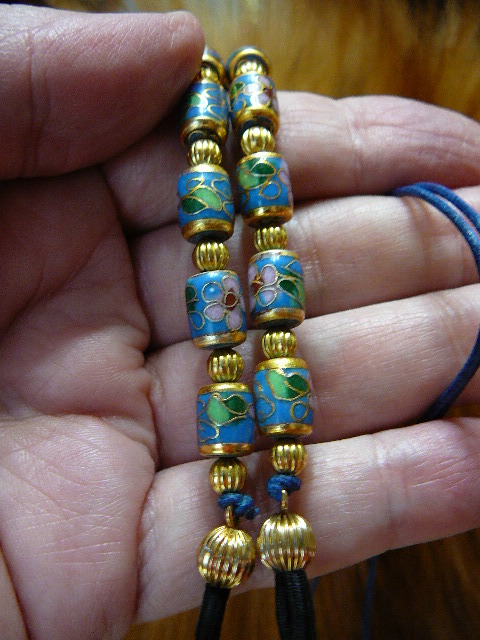 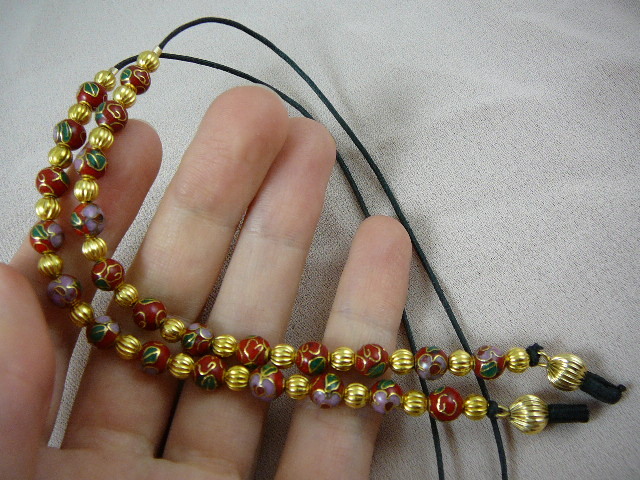 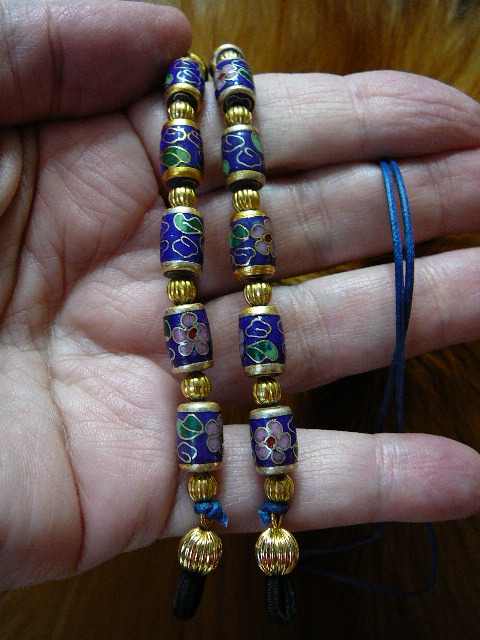 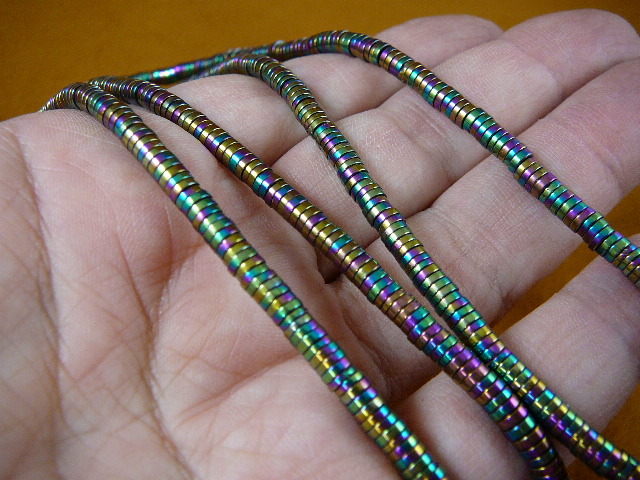 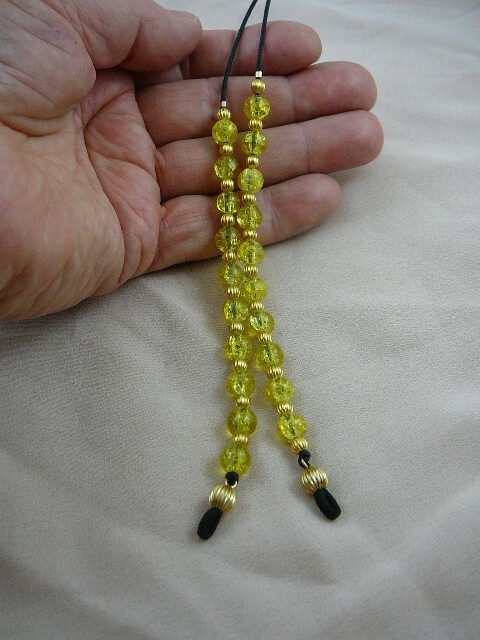 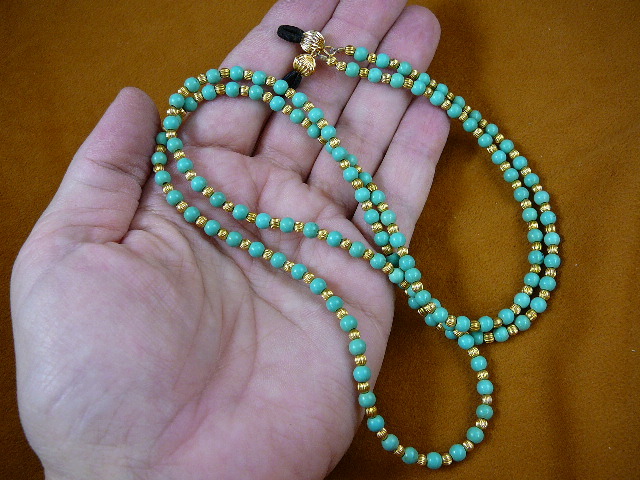 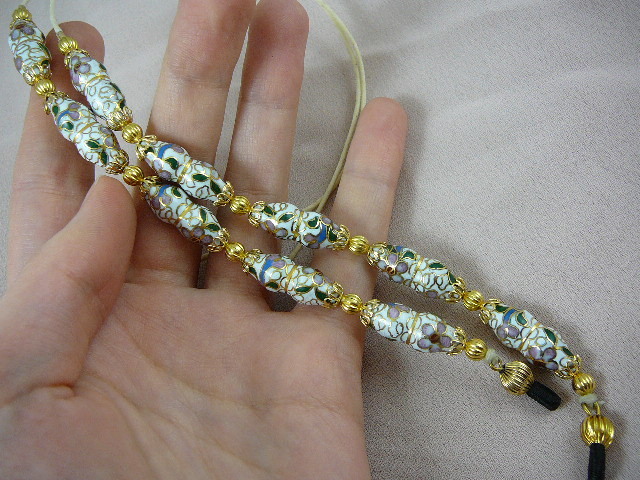 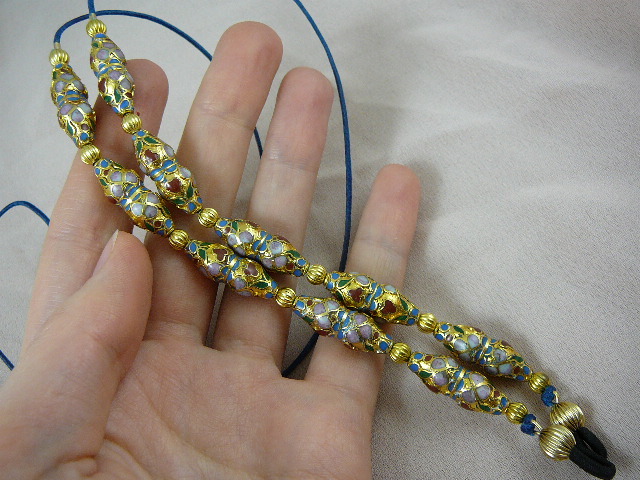 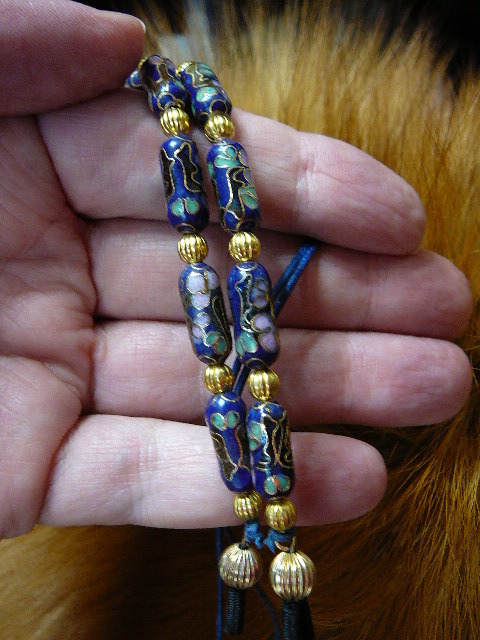 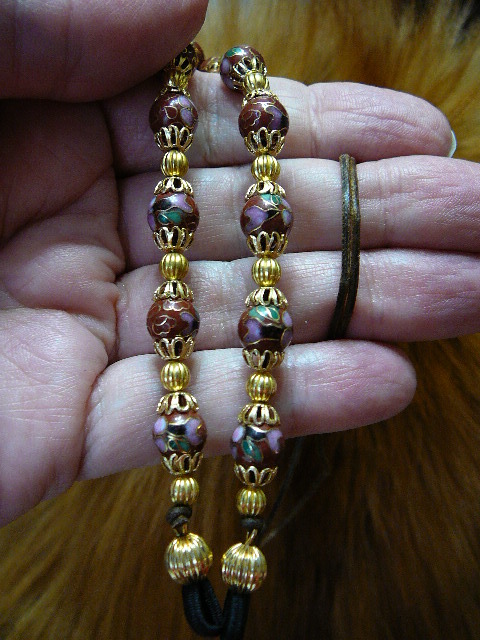 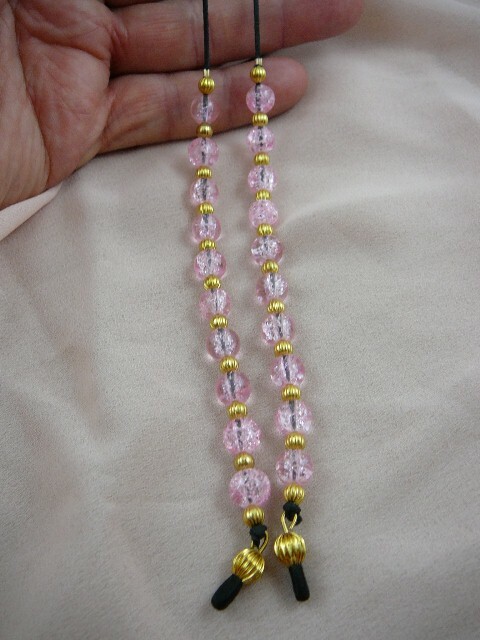 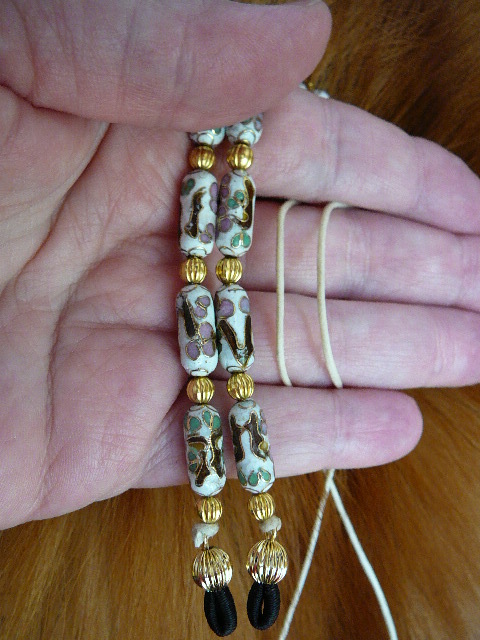 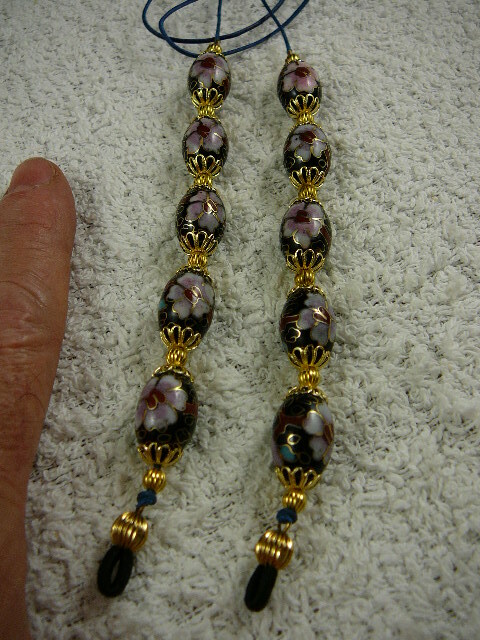 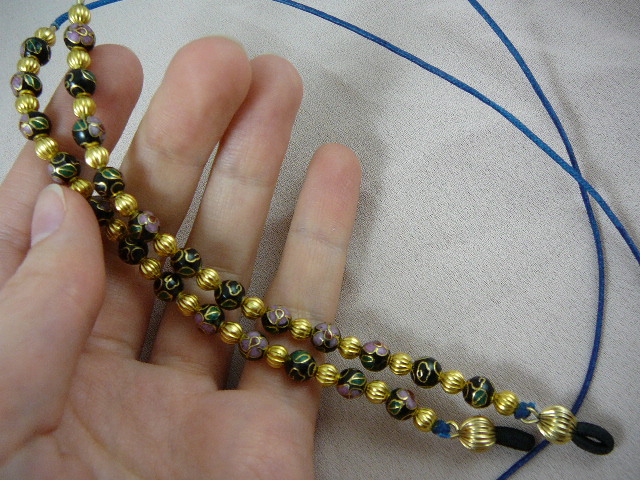 A connector (see photo above) is included at no charge which will convert the leash into a single long necklace or a doubled two strand short necklace. 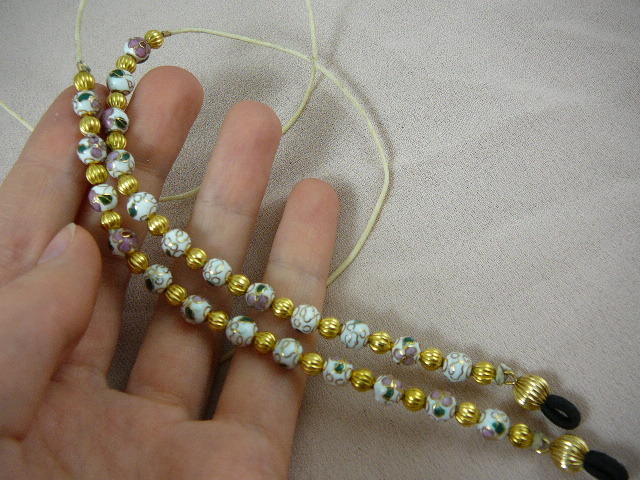 Make those eyes even more beautiful! 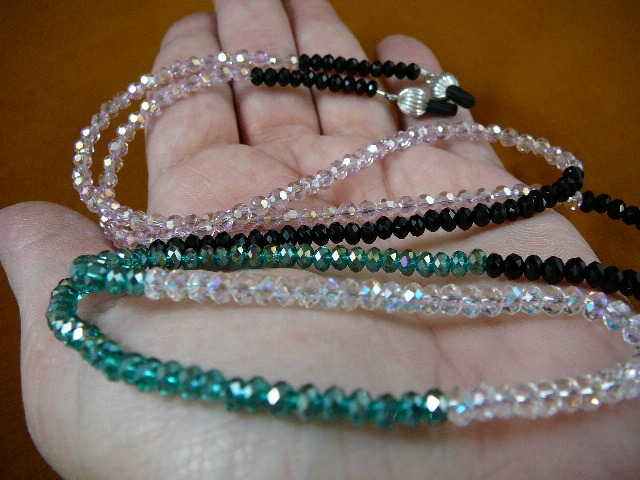 More choices .. keep going!